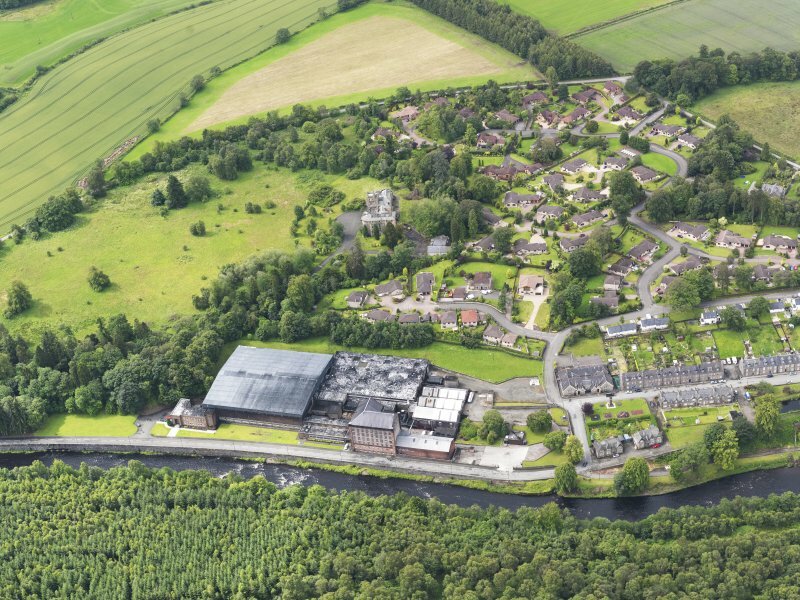 Oblique aerial view of Deanston Mills, taken from the NE. 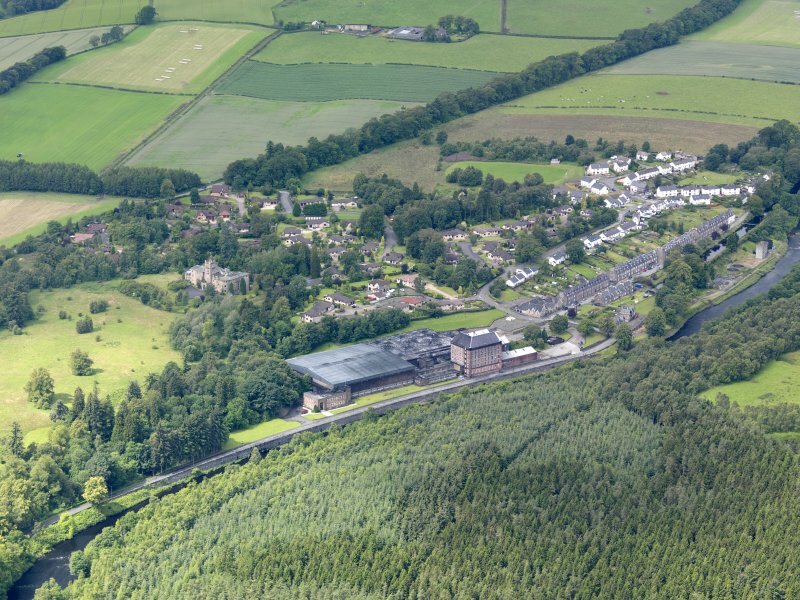 General oblique aerial view of Deanston Mills, taken from the ENE. 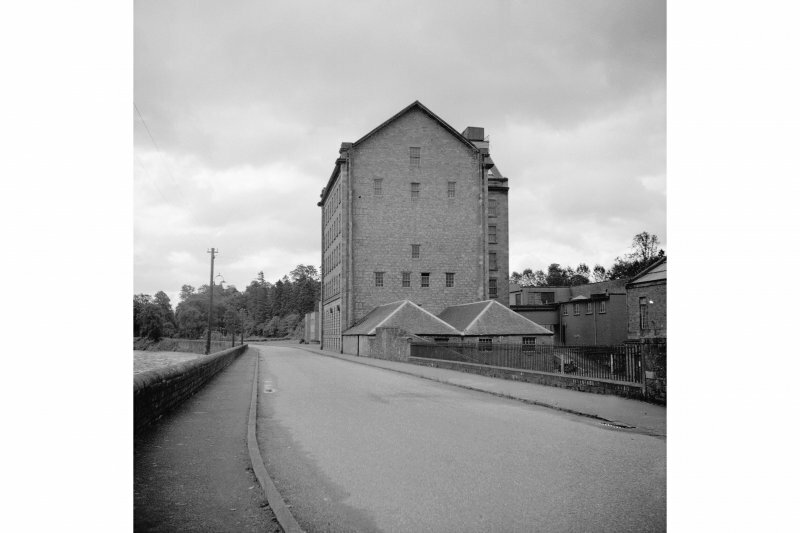 View of the Old Mill at Deanston. 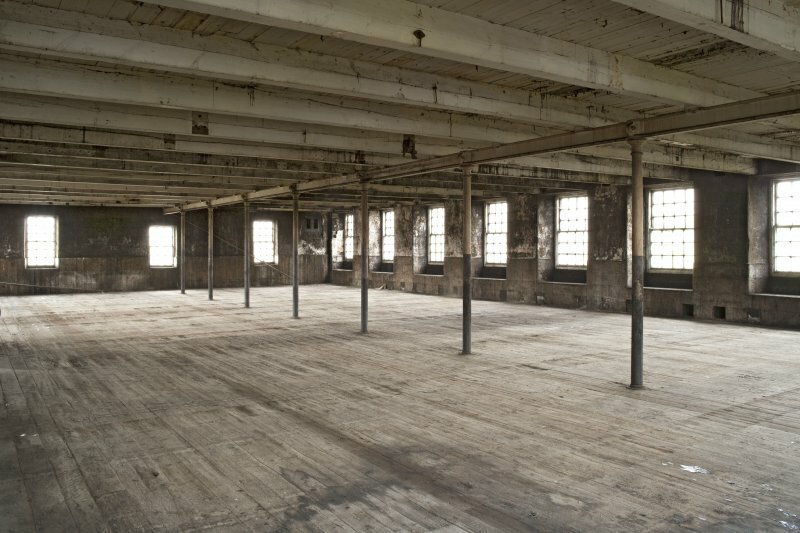 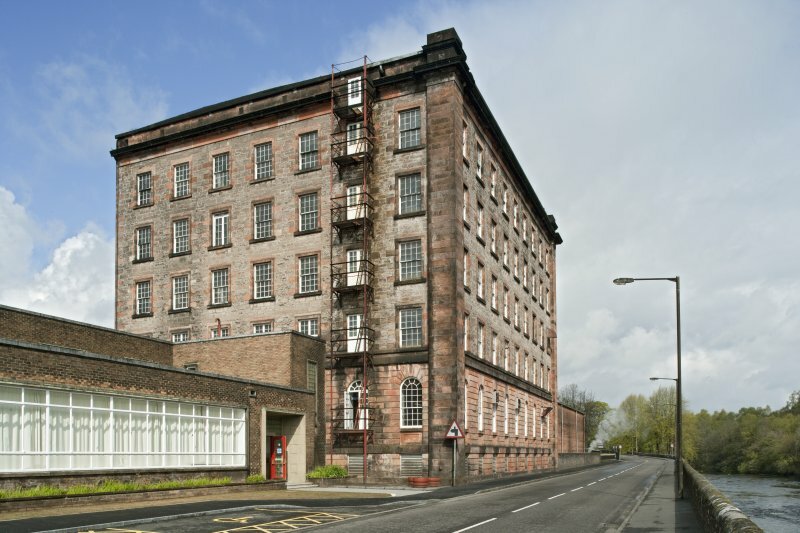 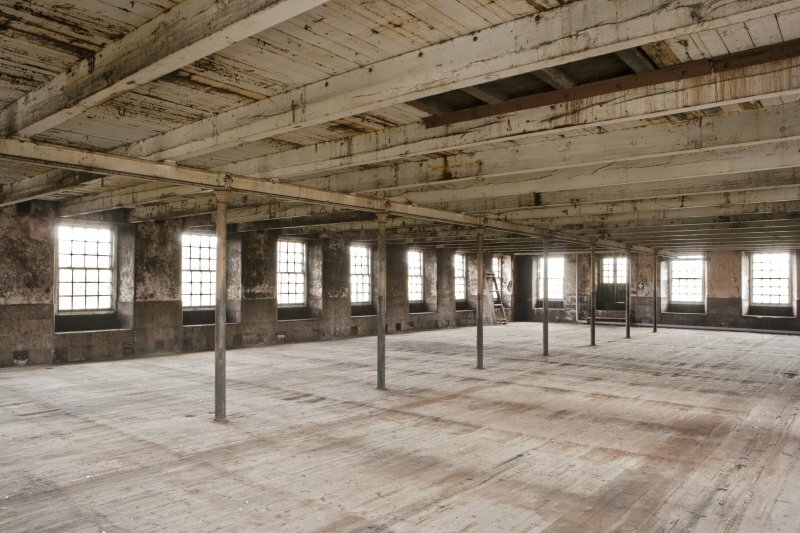 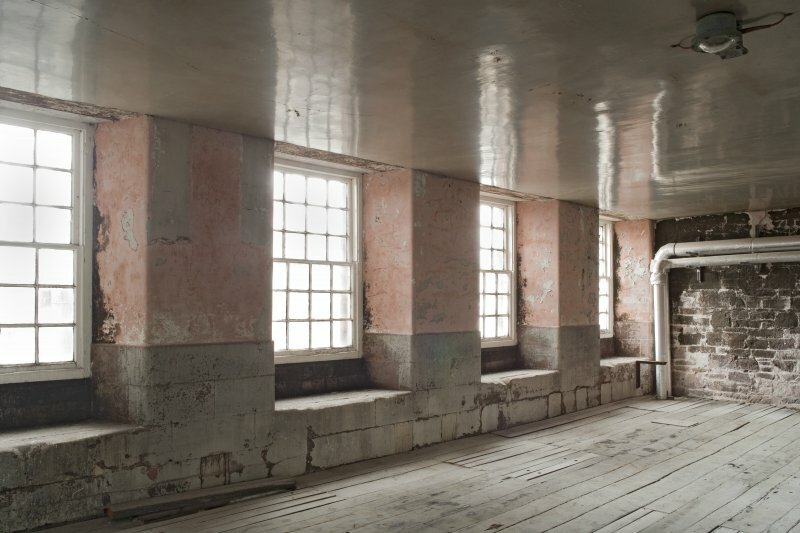 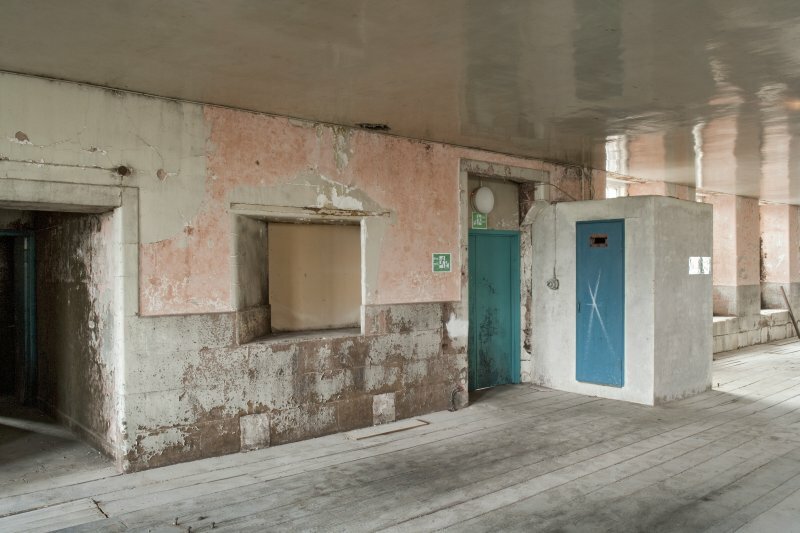 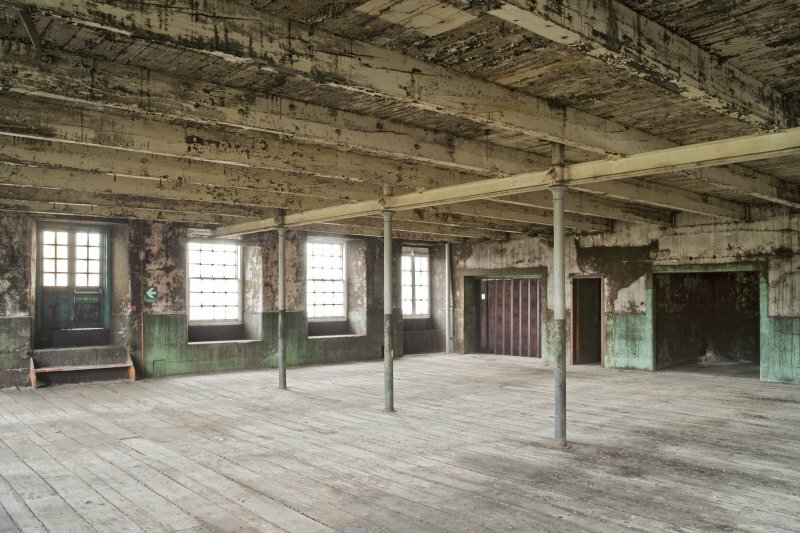 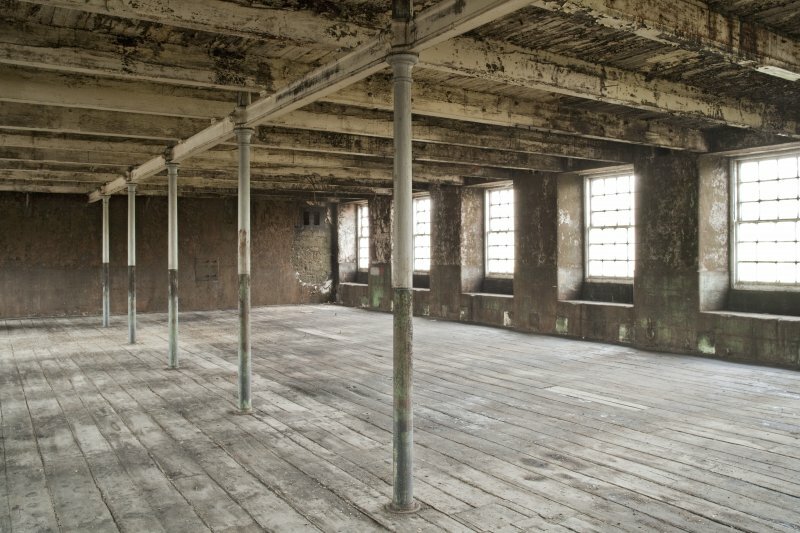 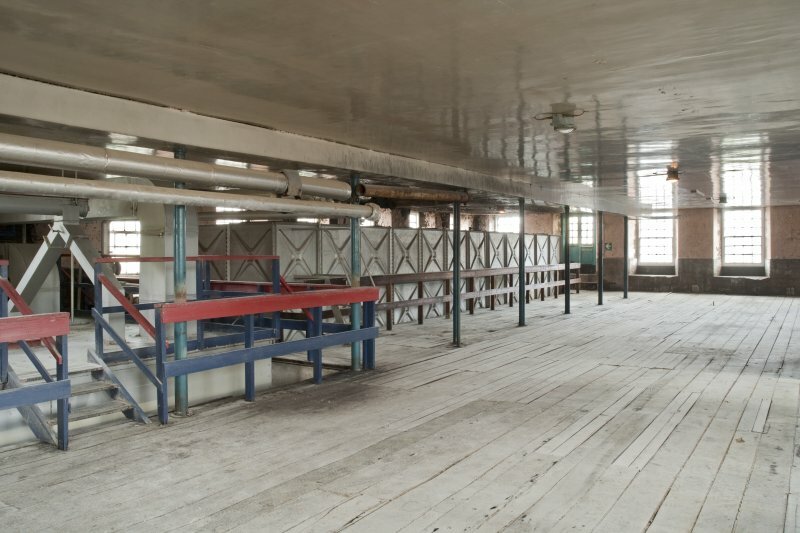 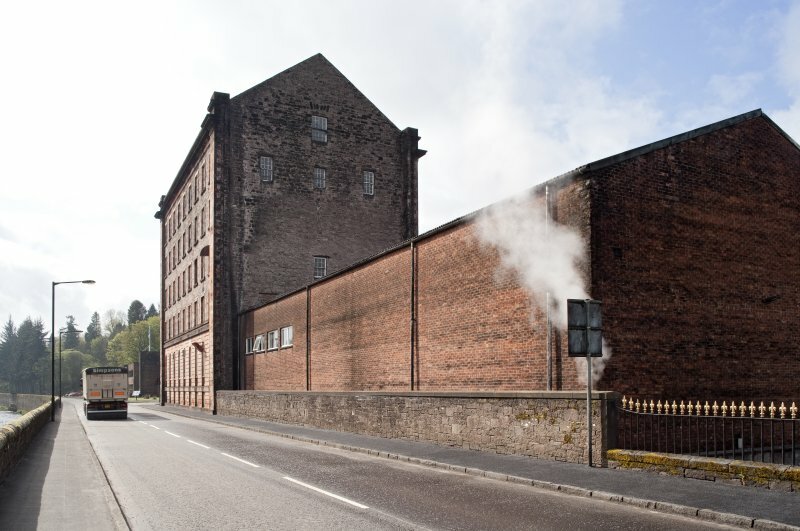 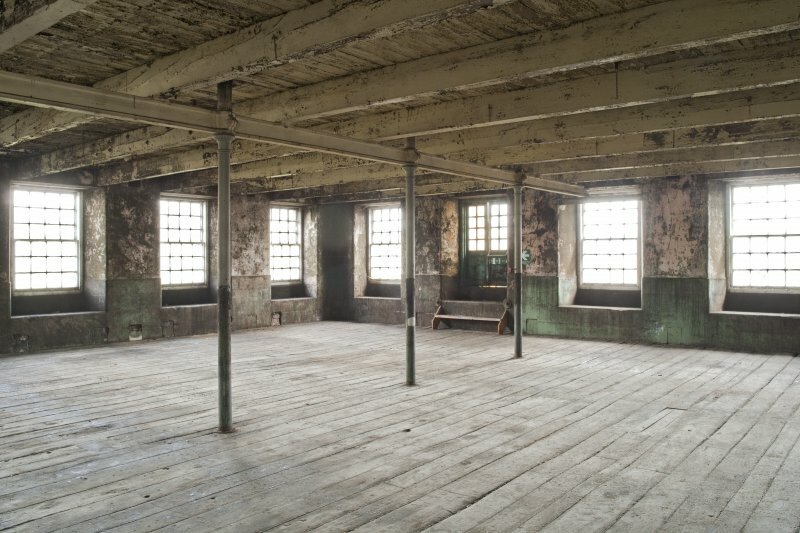 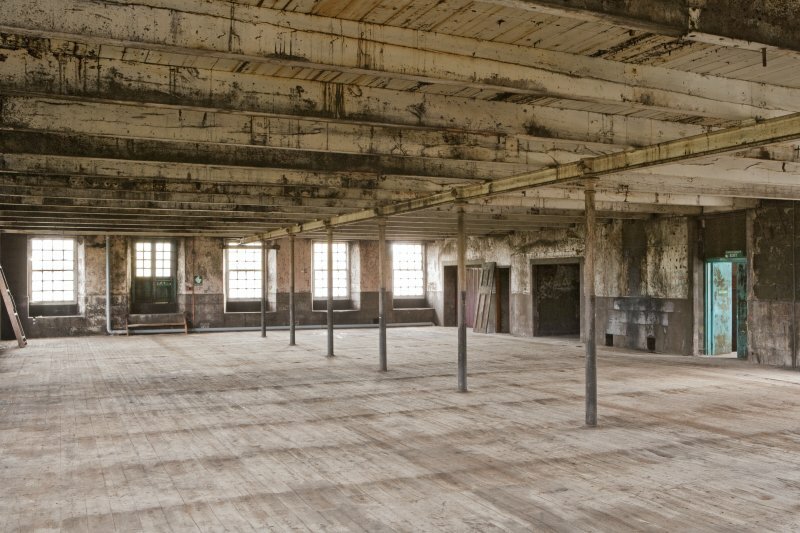 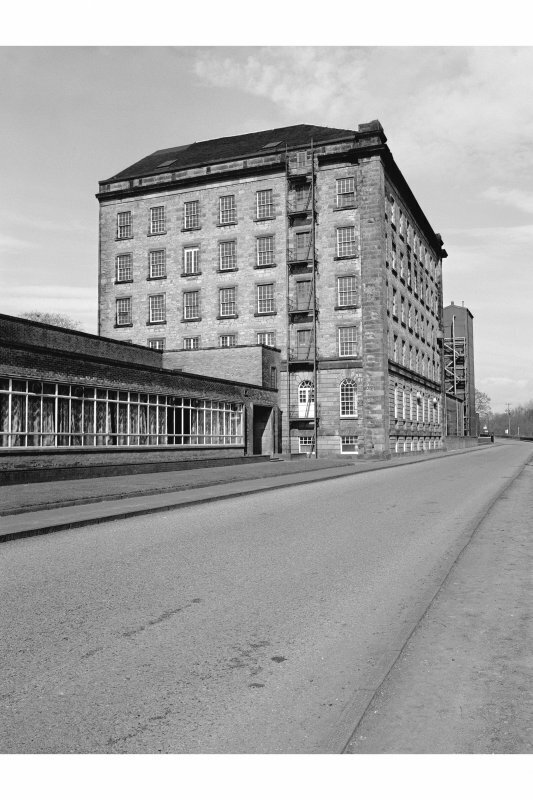 Deanston cotton mill was establishd in 1785, the year that Richard Arkwright's patents were quashed (Richard Arkwirght's water frame could now become part of continuous preparation machinery). 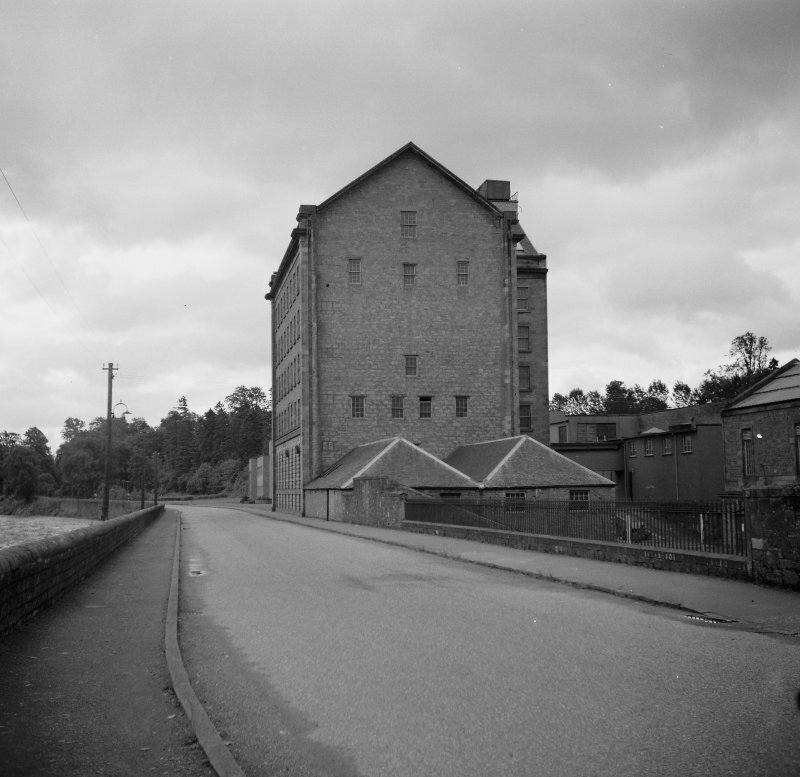 Modenisation in 1947 destroyed the 18th century mill range. 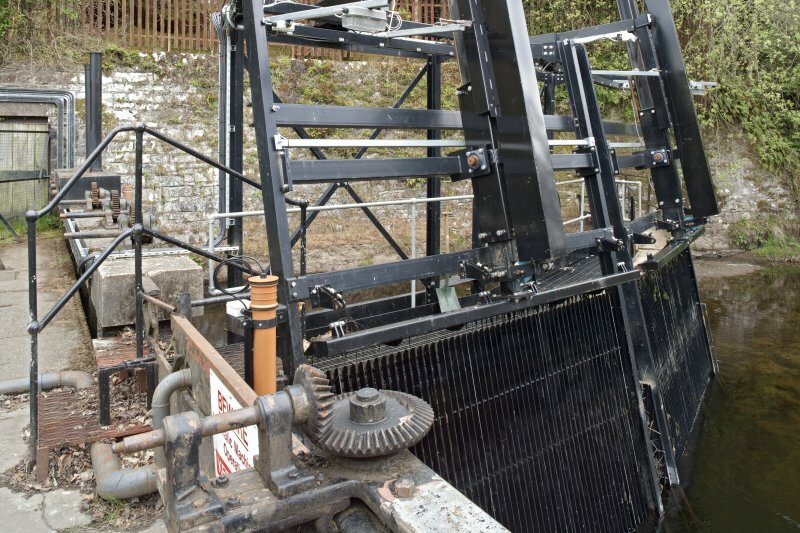 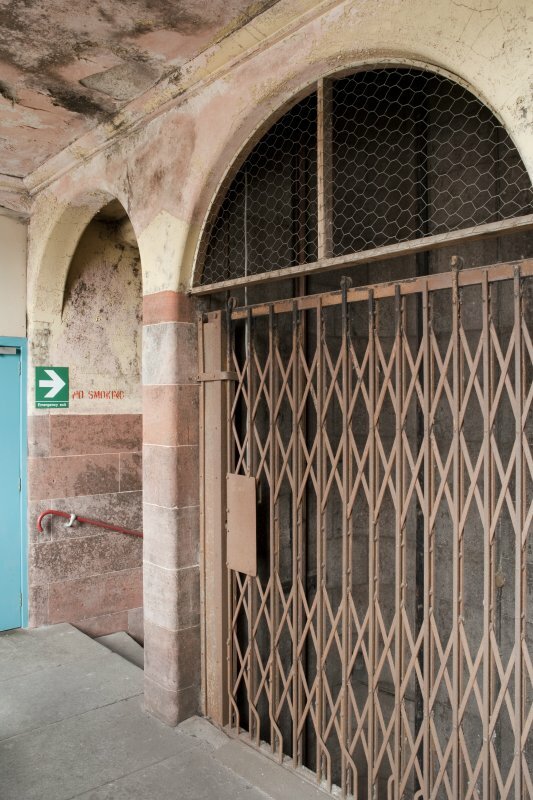 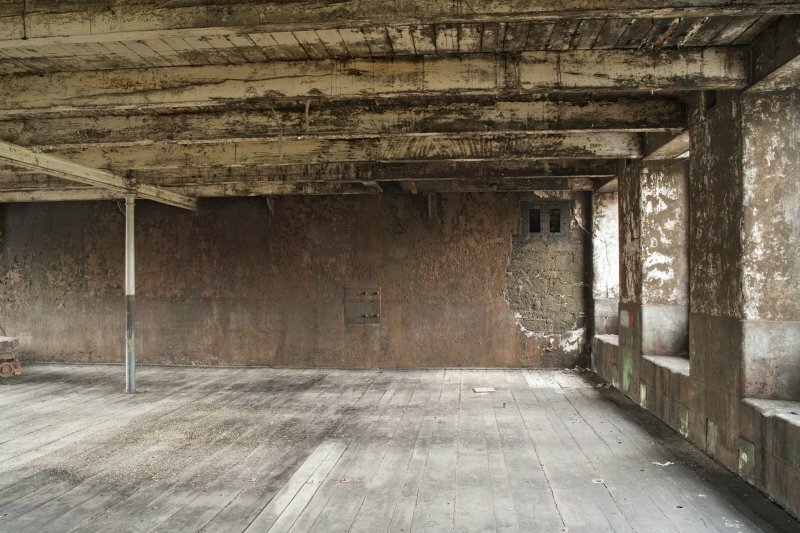 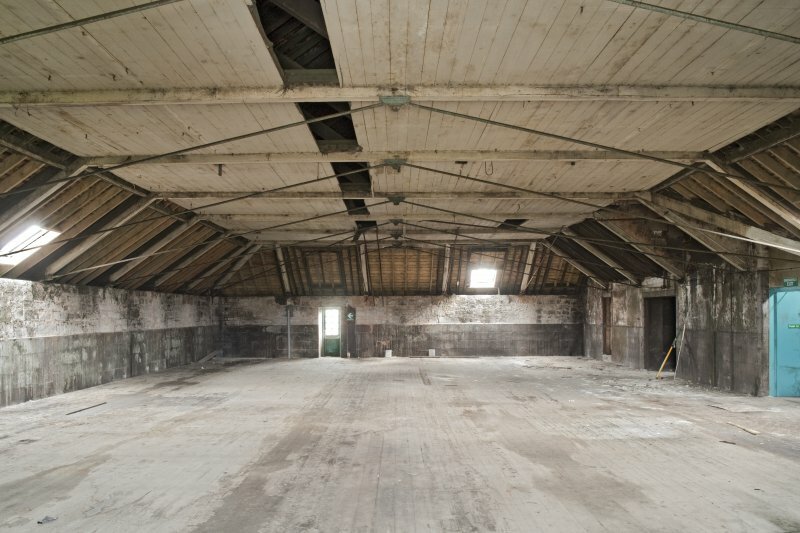 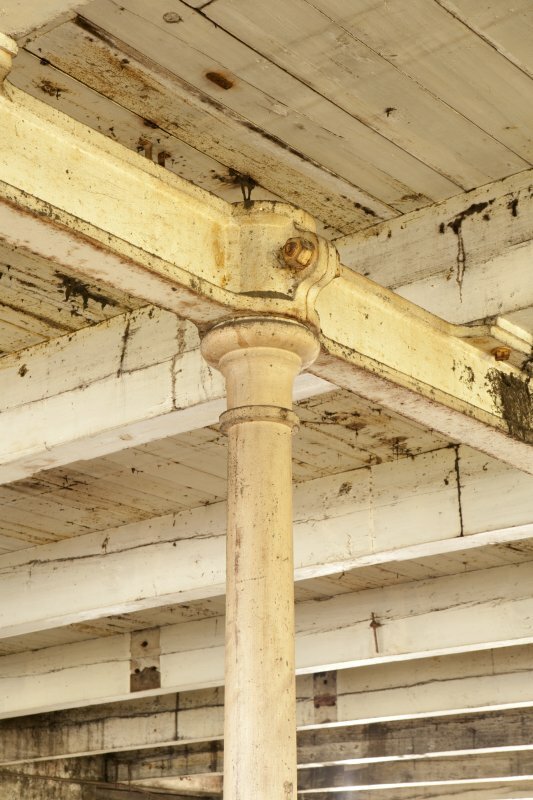 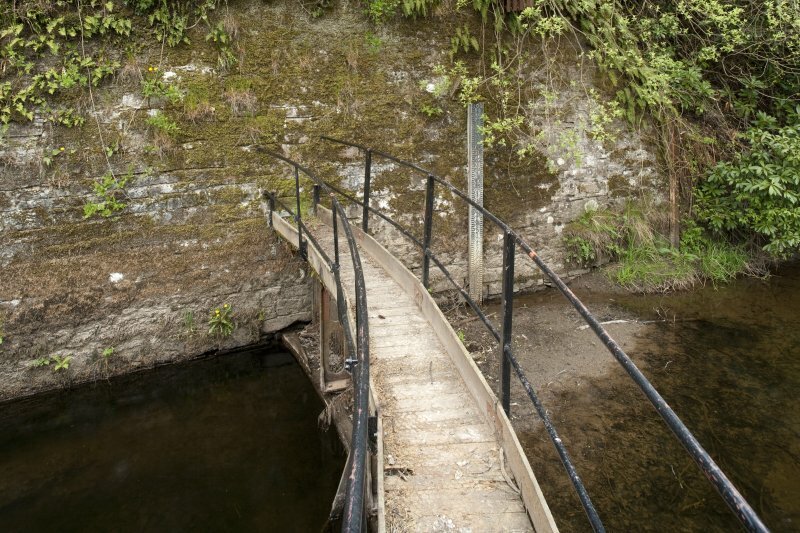 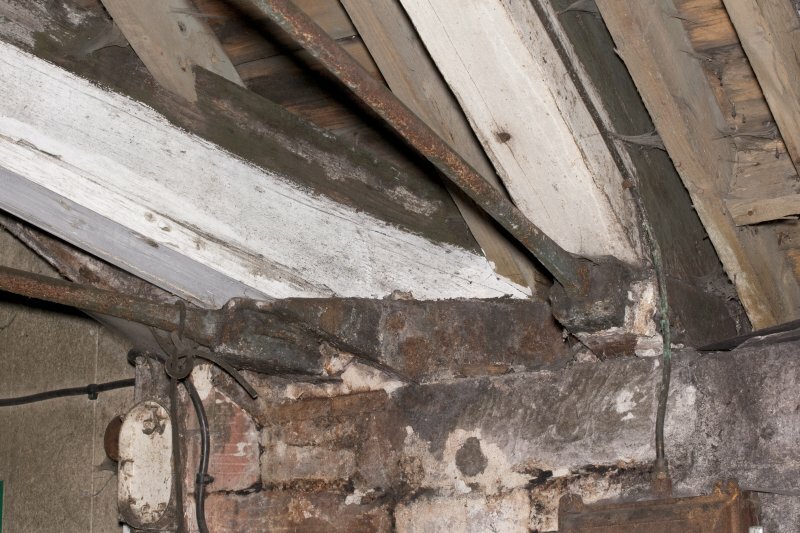 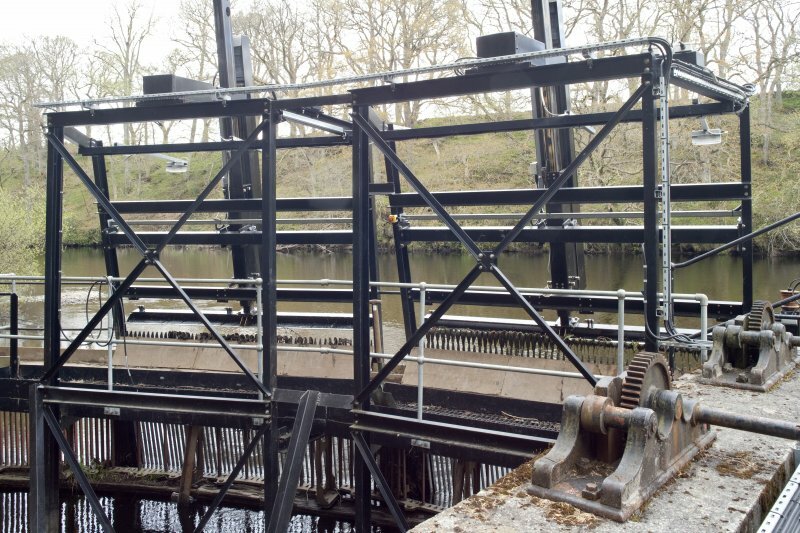 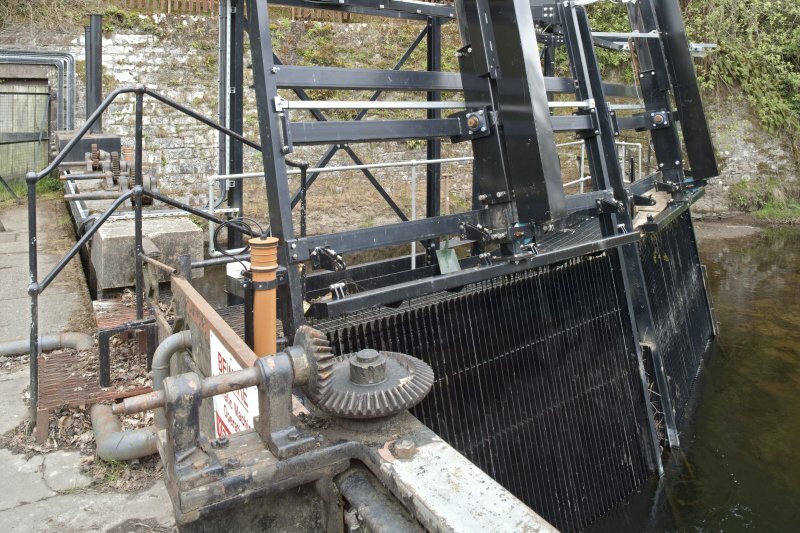 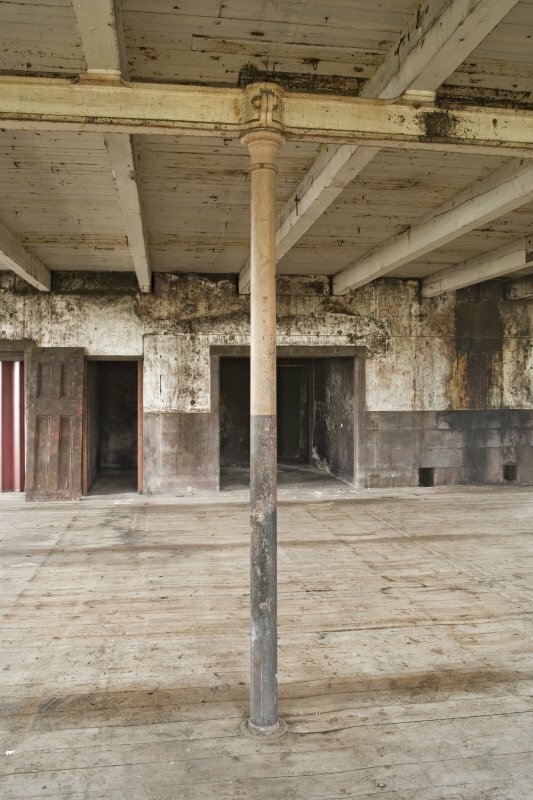 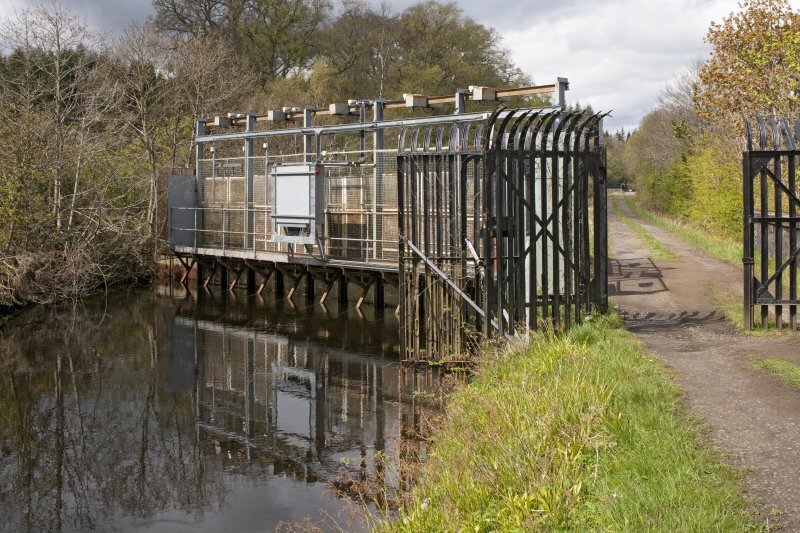 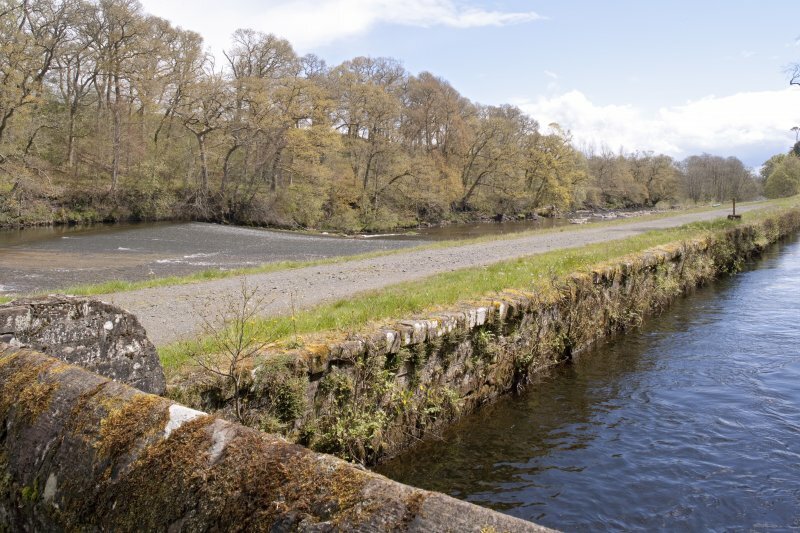 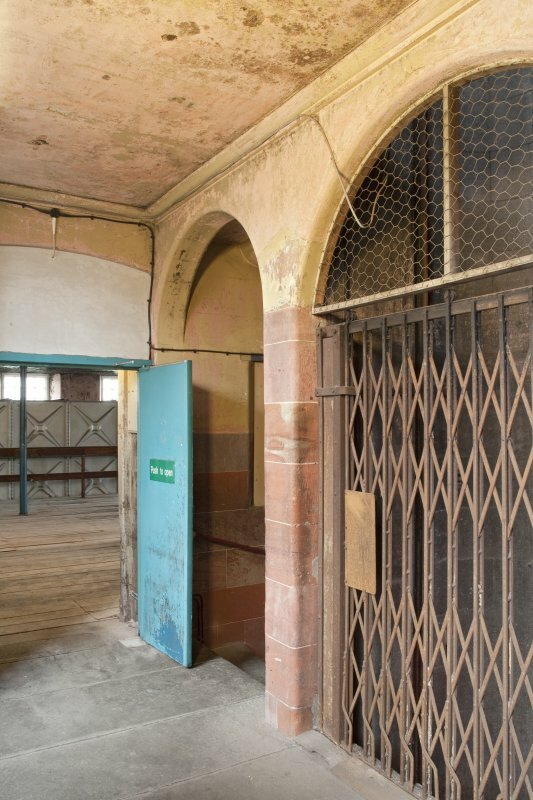 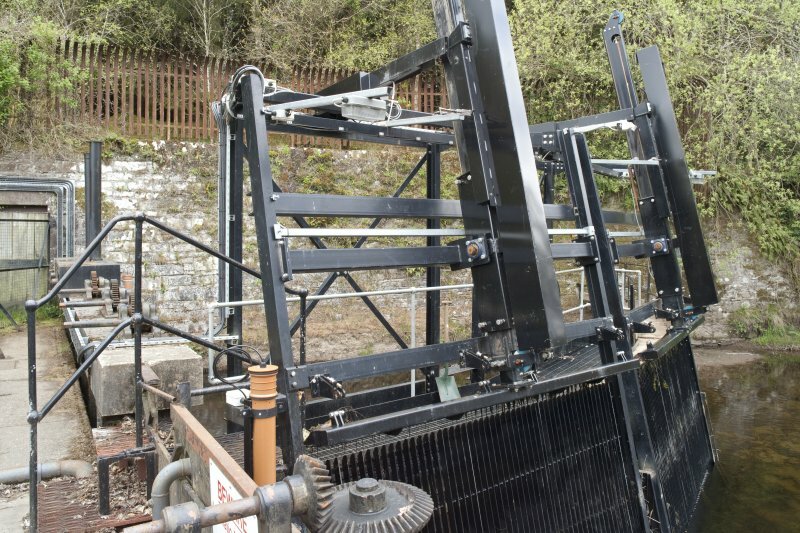 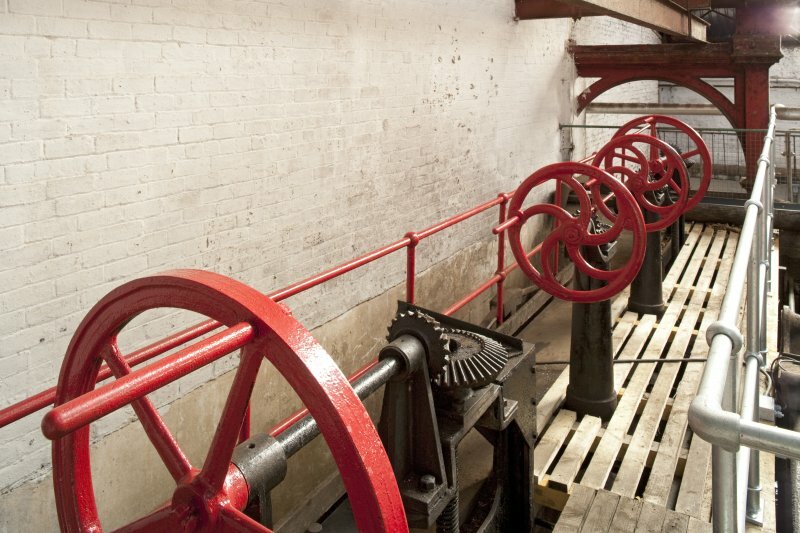 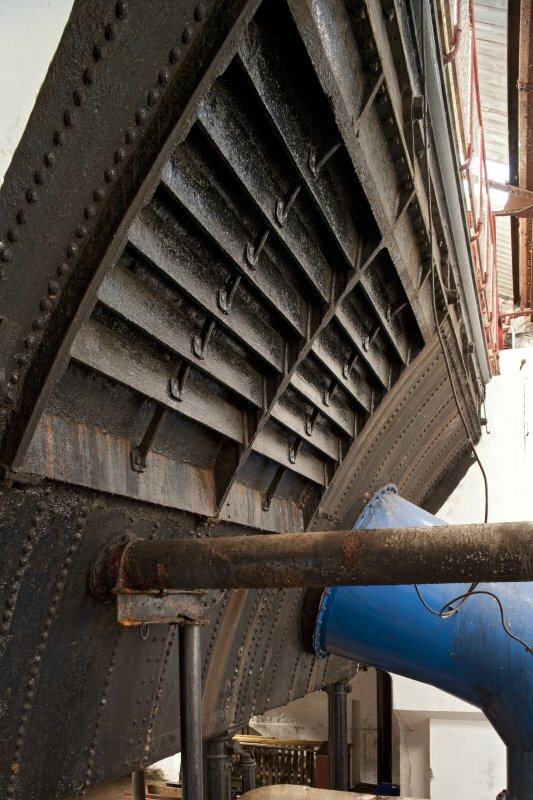 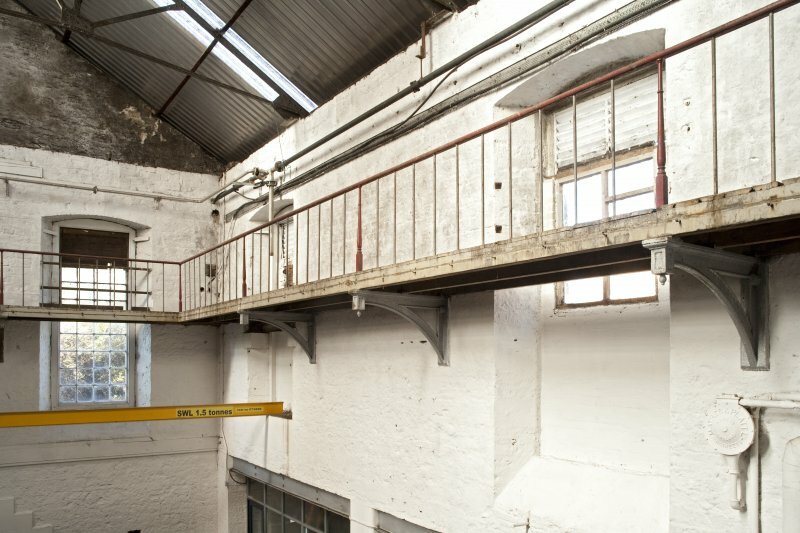 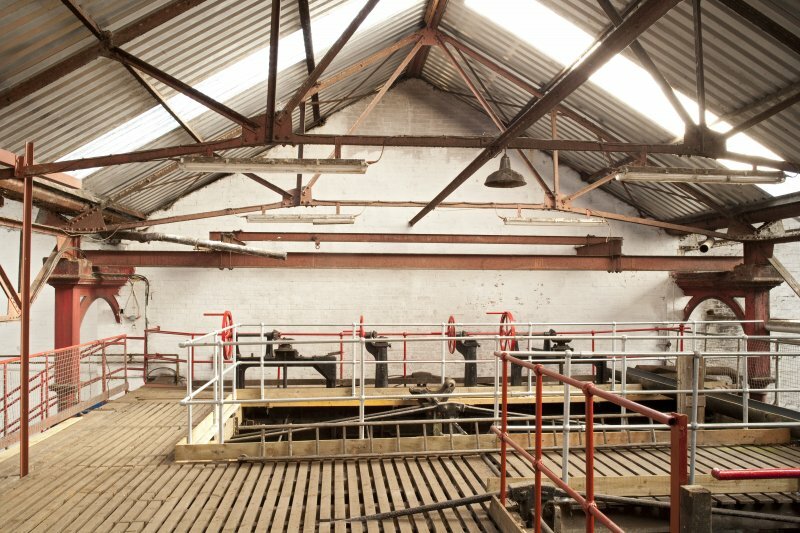 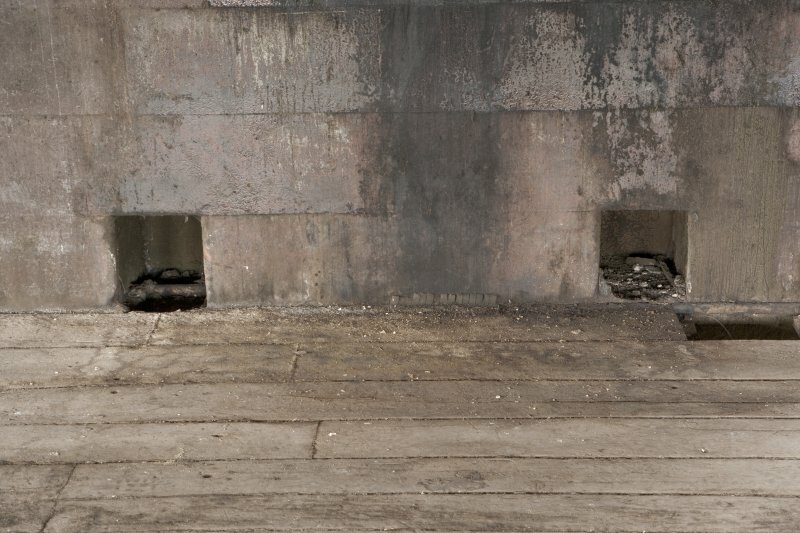 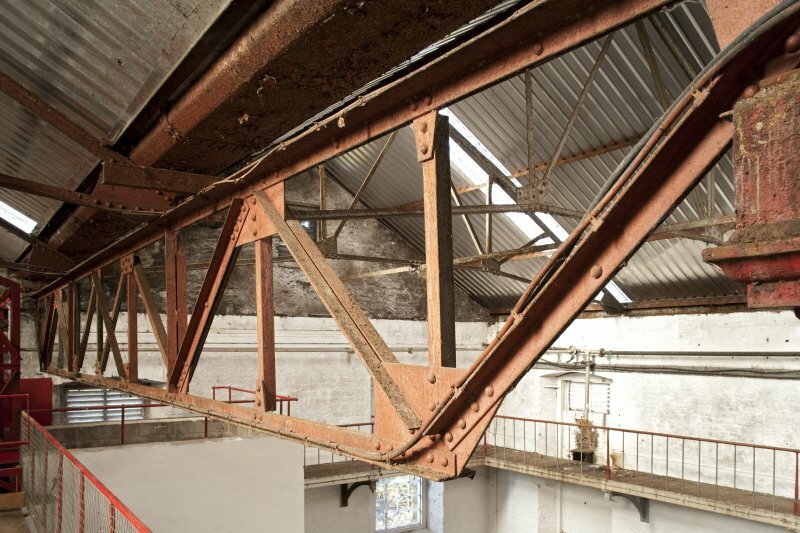 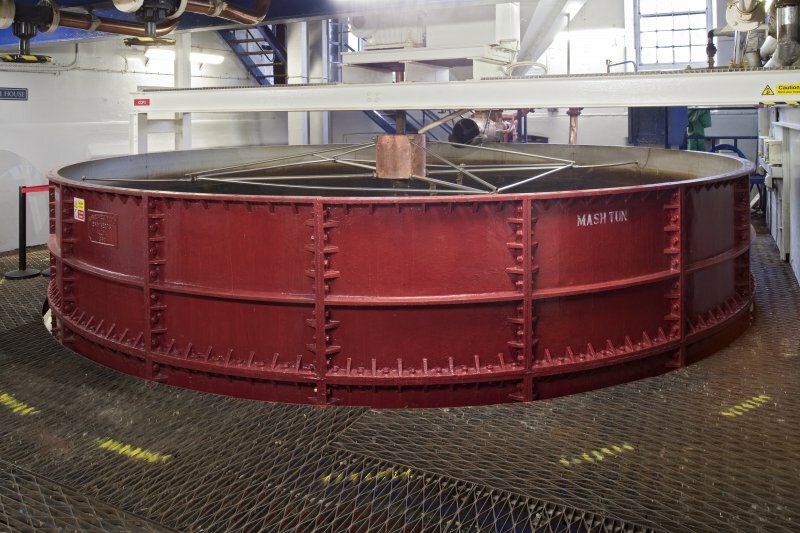 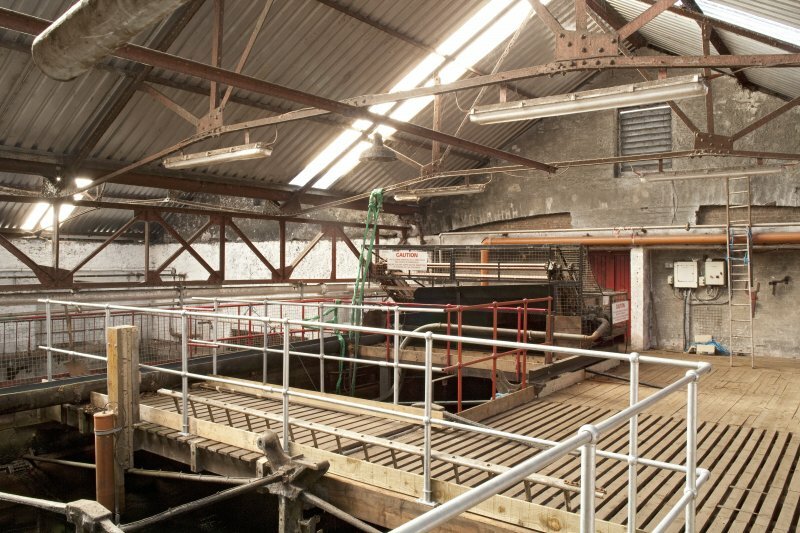 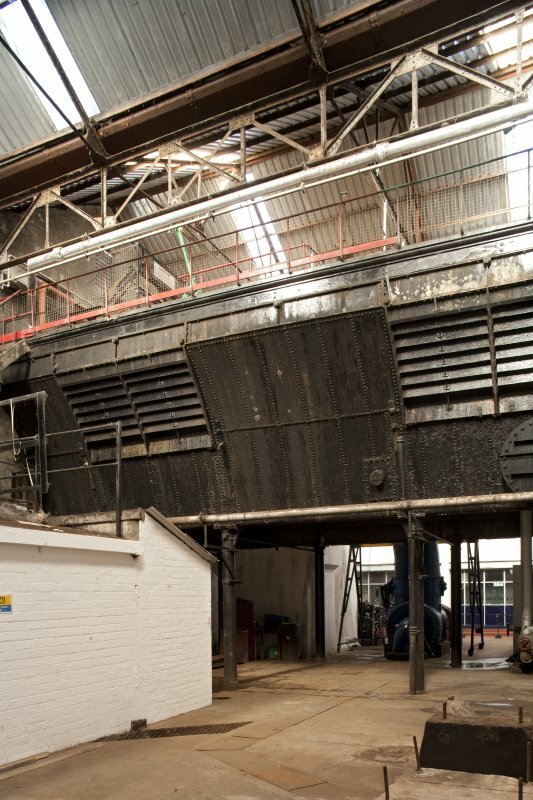 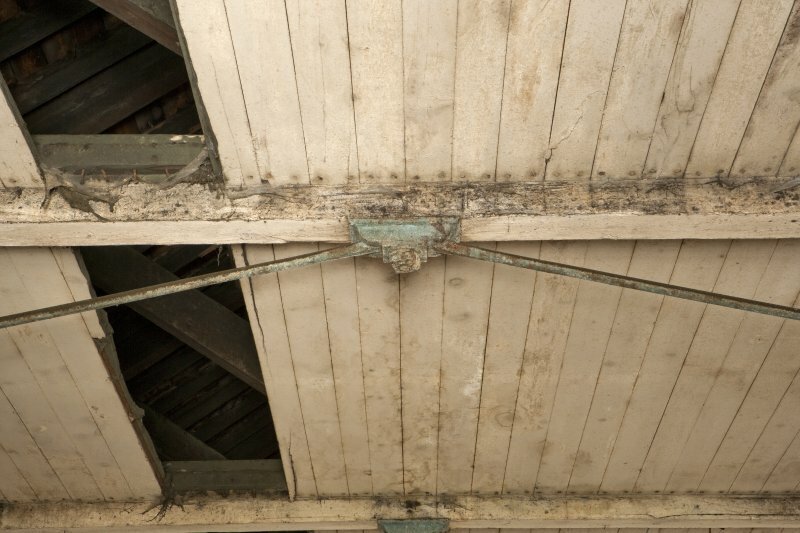 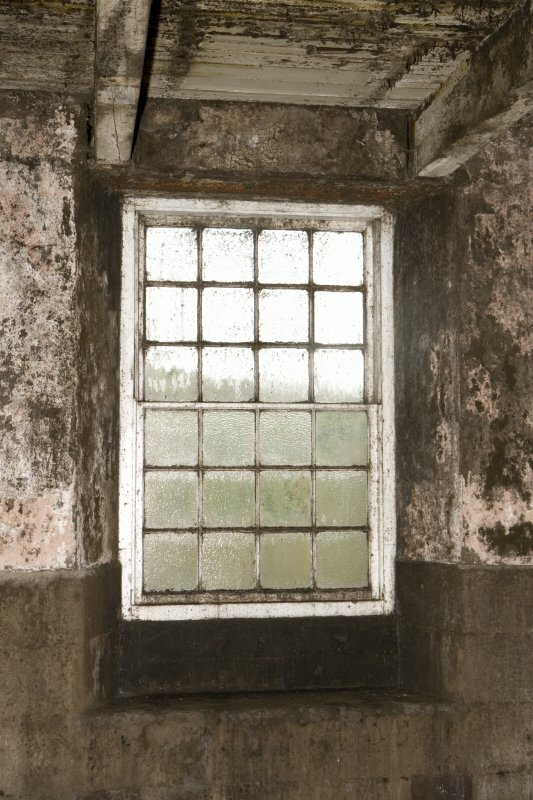 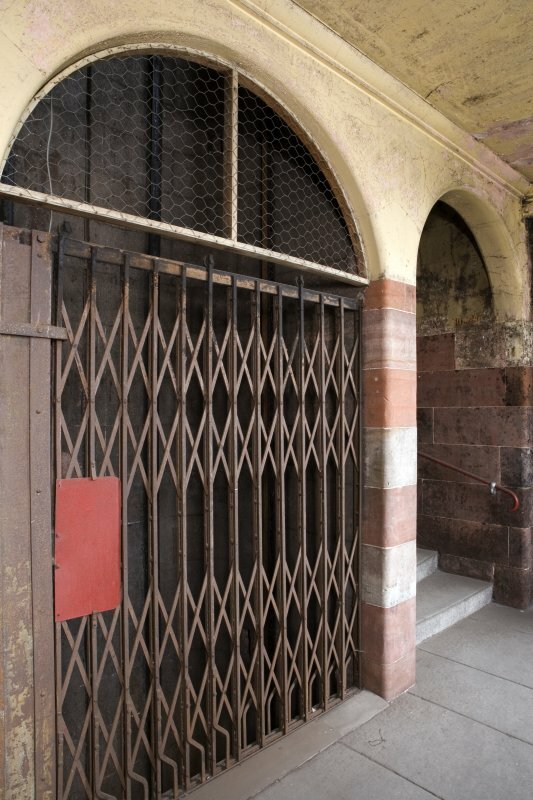 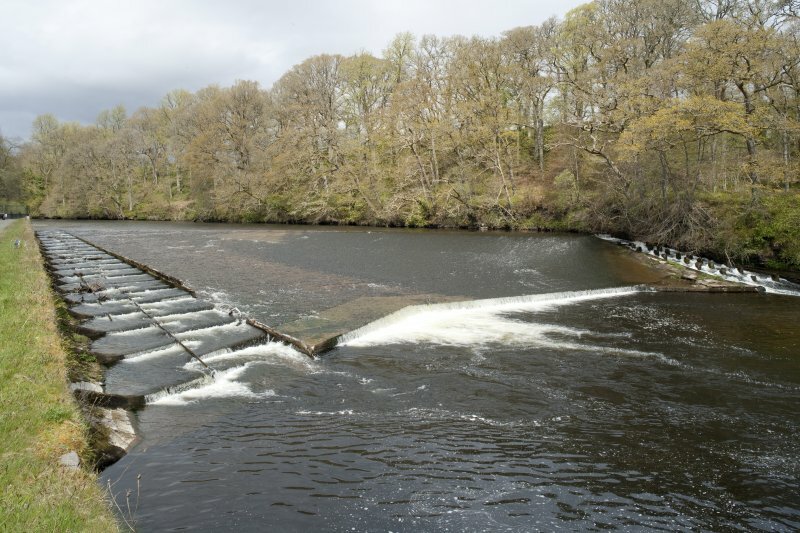 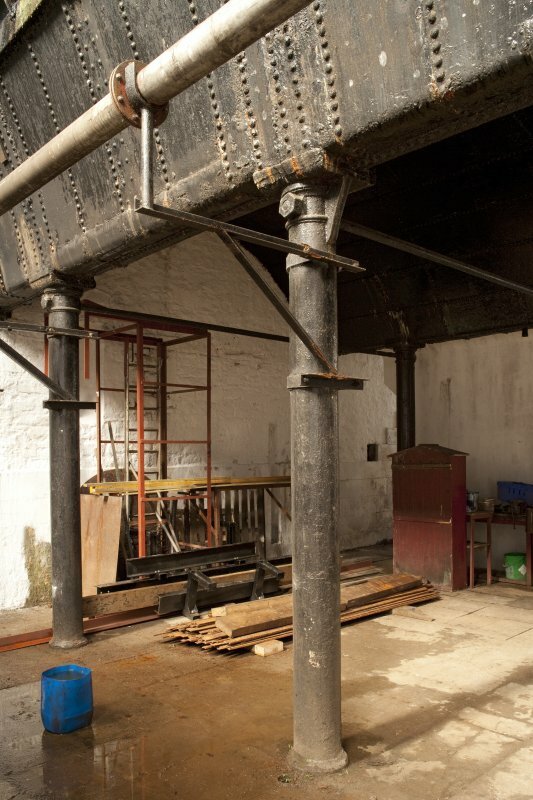 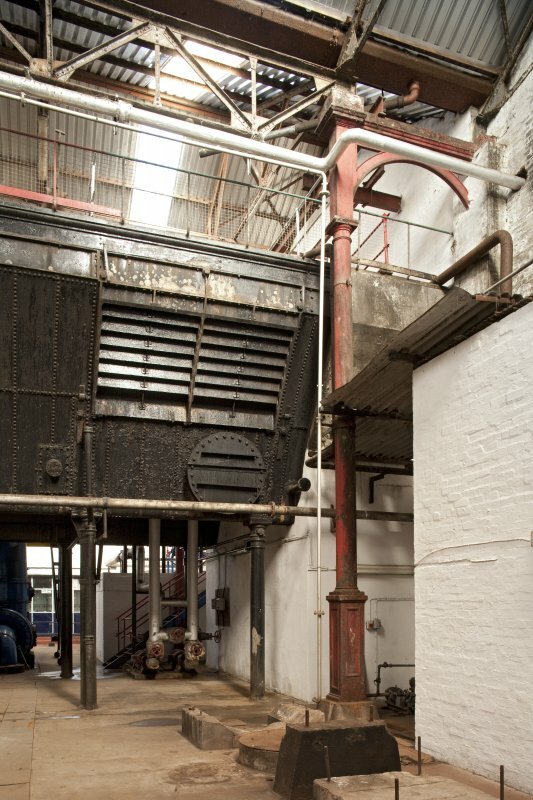 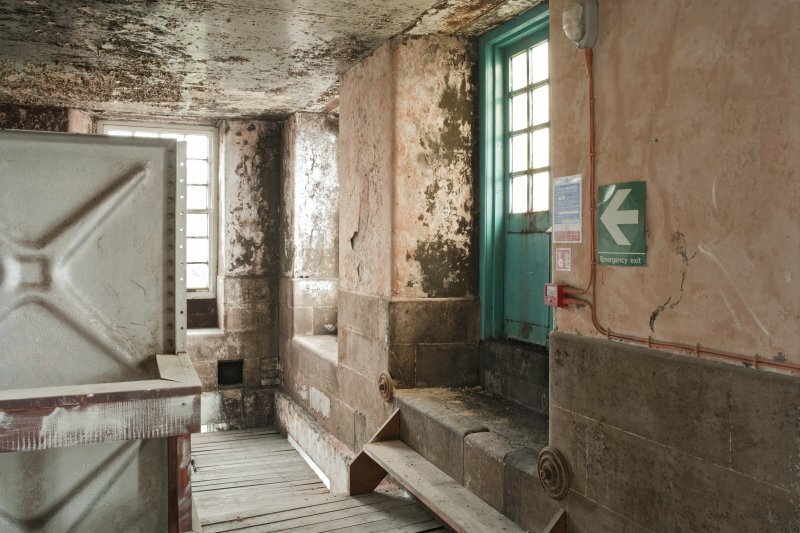 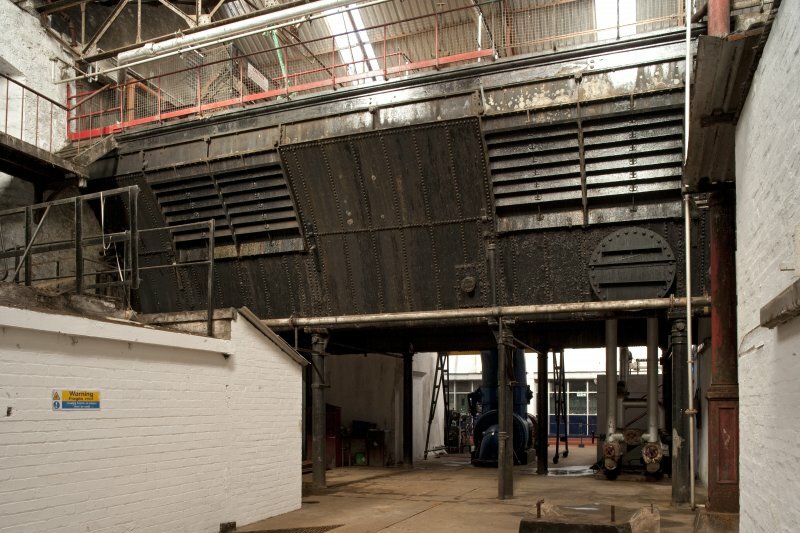 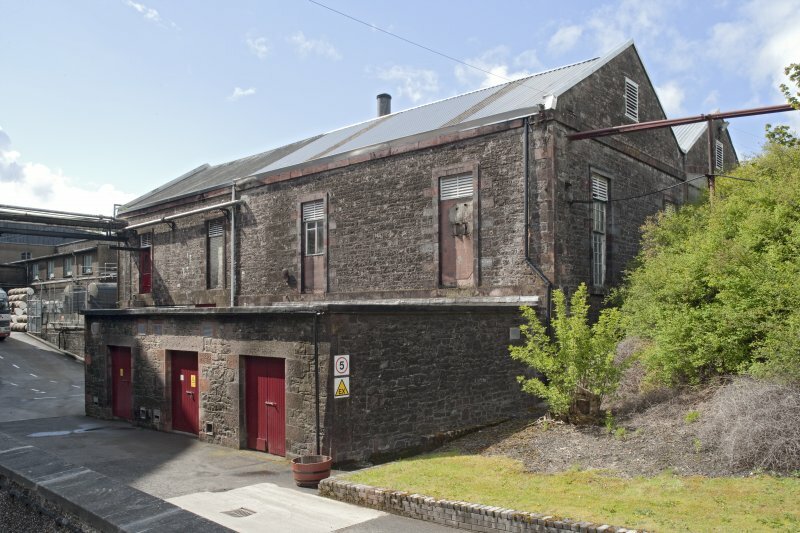 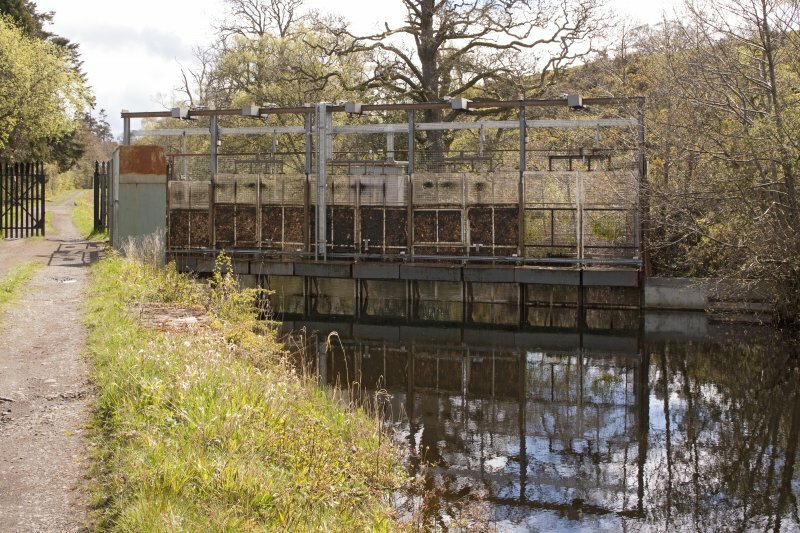 The surviving spinning mill, weaving shed, wheel house and weir of c.1826 are of great interest as a late phase of water-powered mill construction. 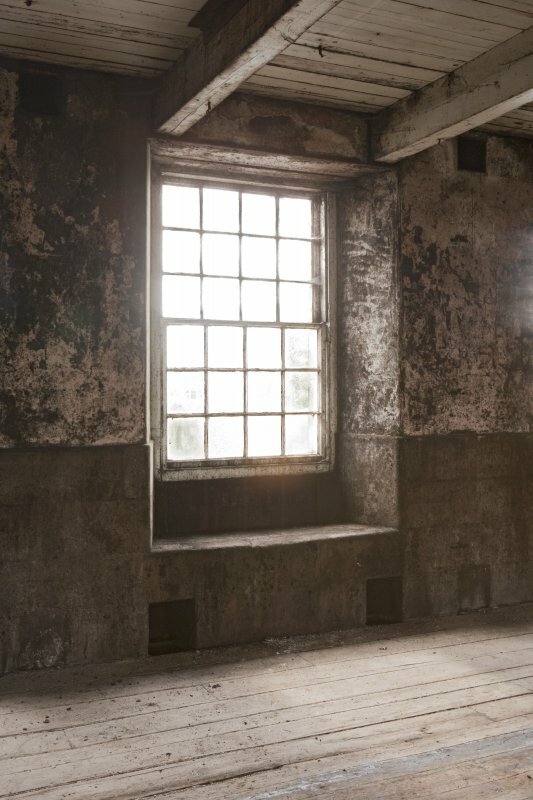 Workers housing still survives in a relatively unchanged state. 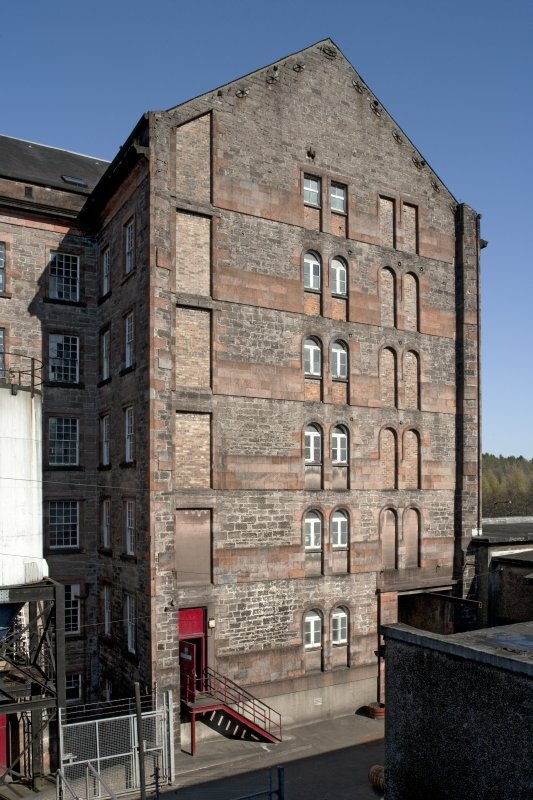 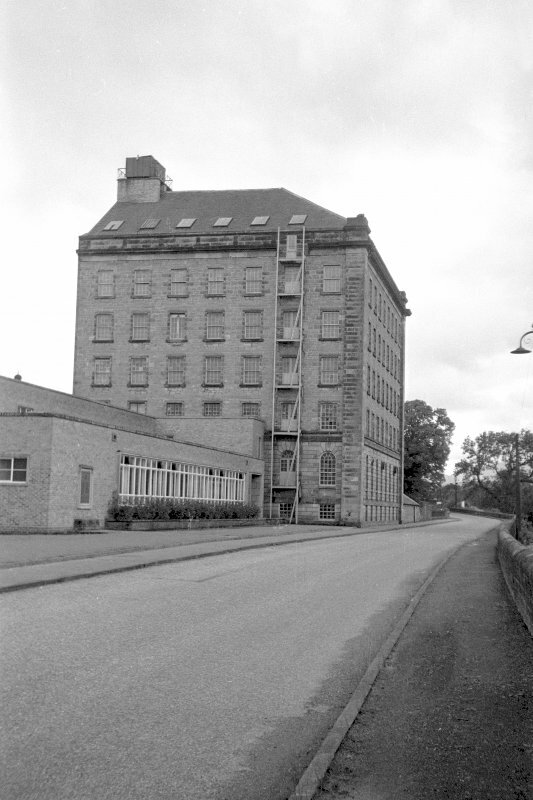 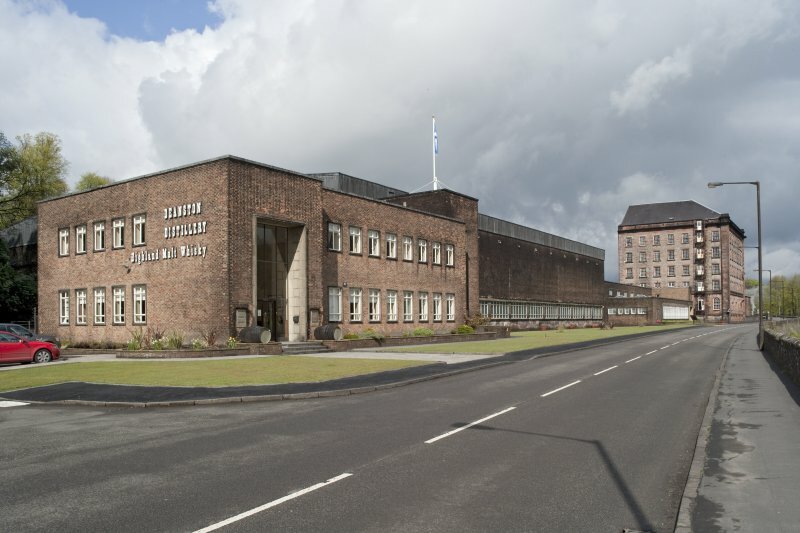 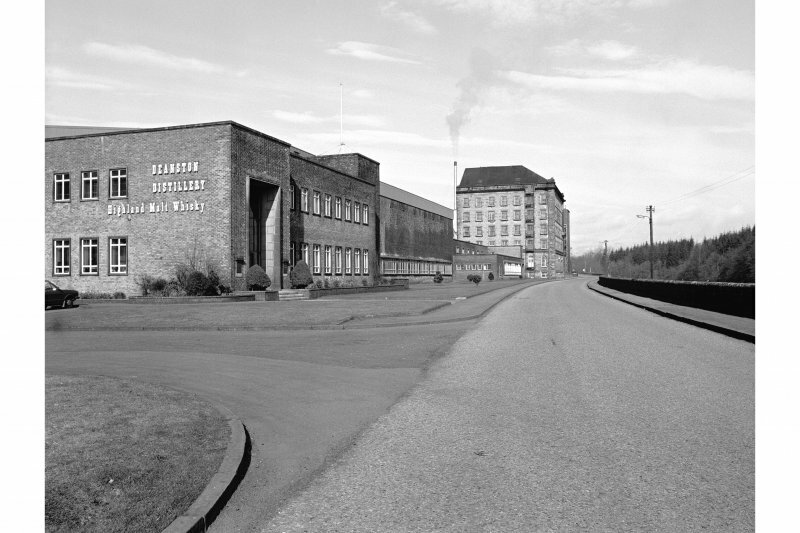 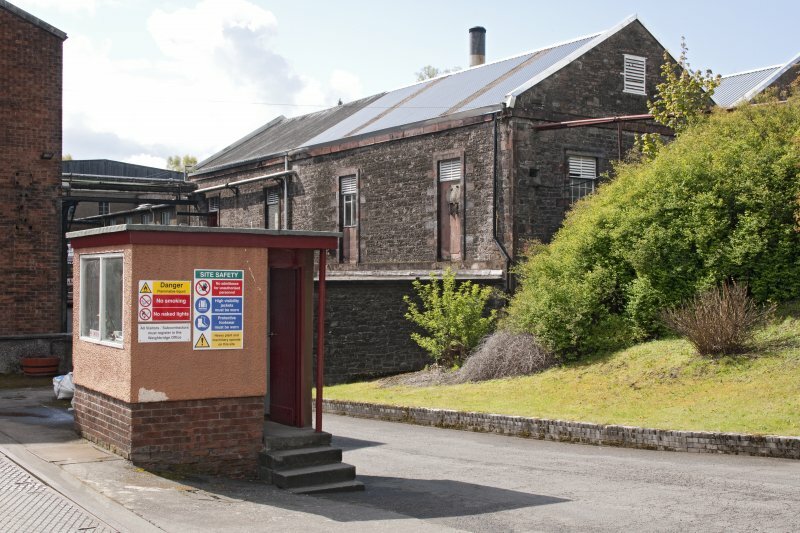 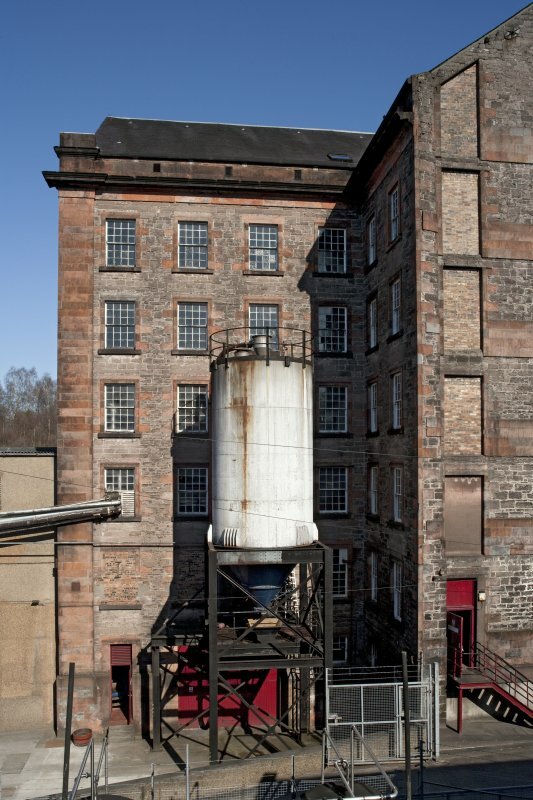 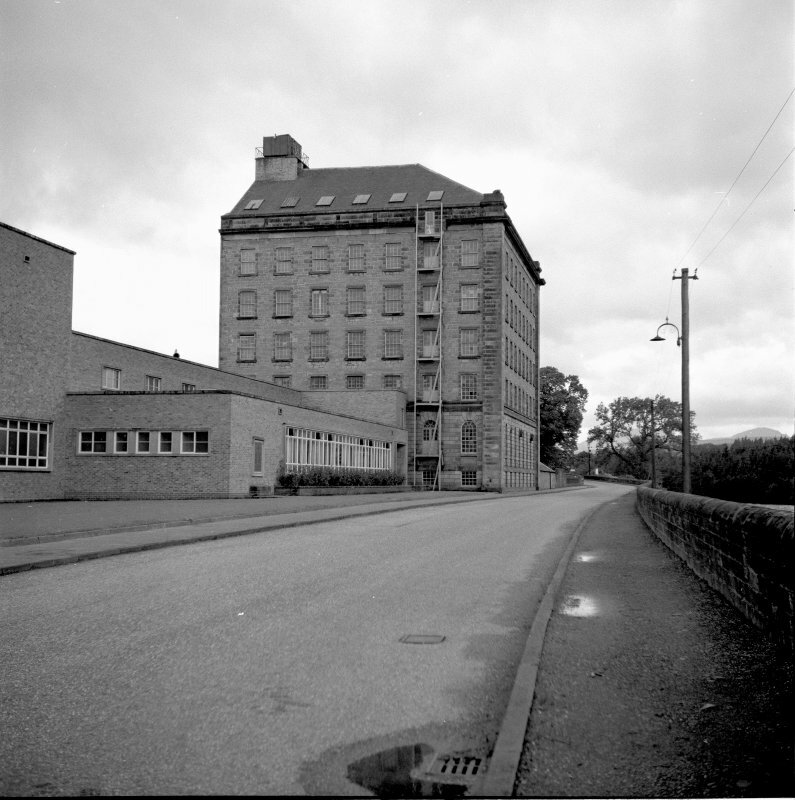 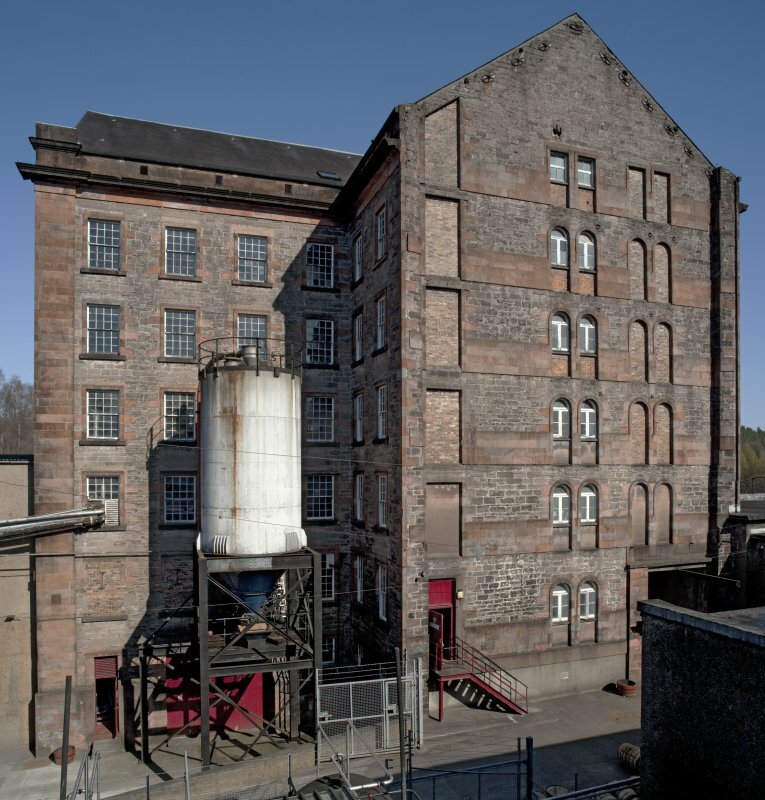 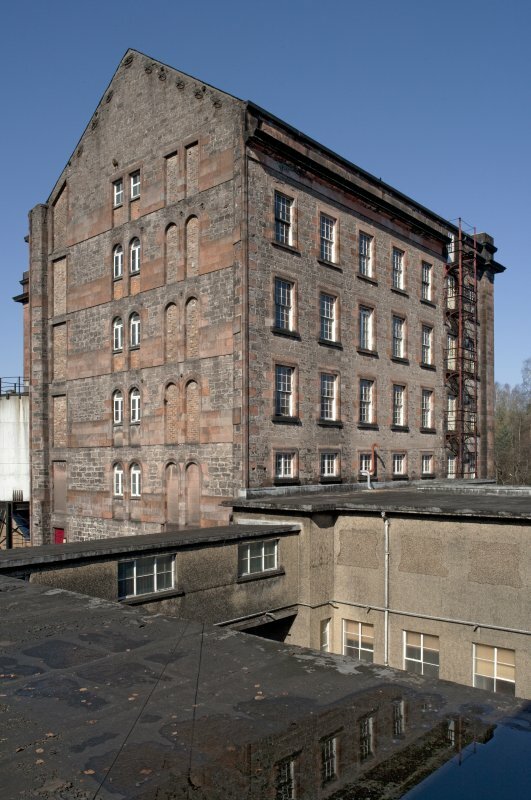 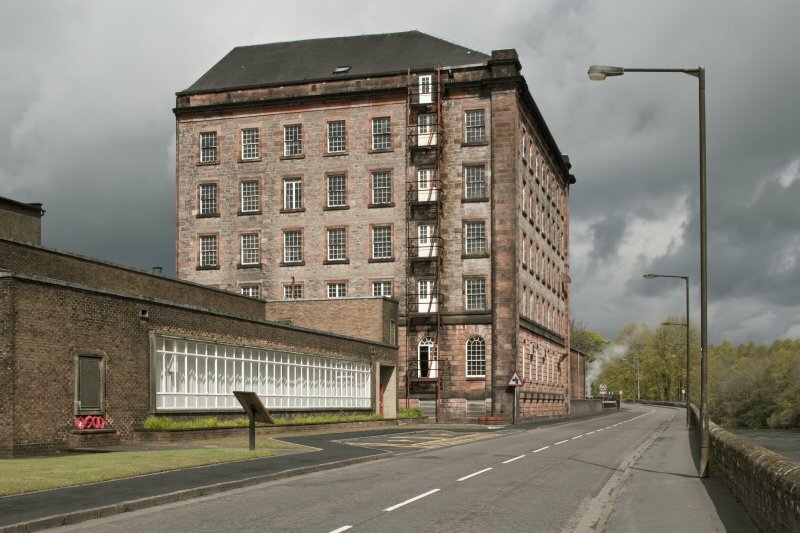 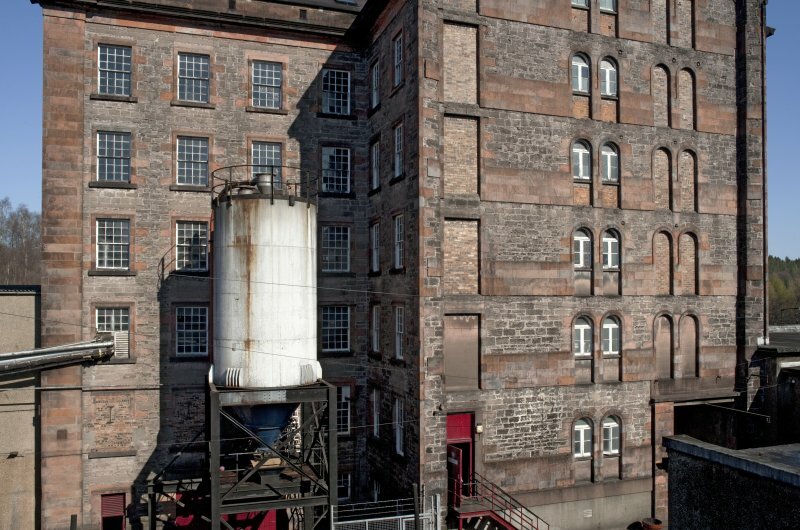 Deanston Cotton Mill was converted into a distillery in 1966. 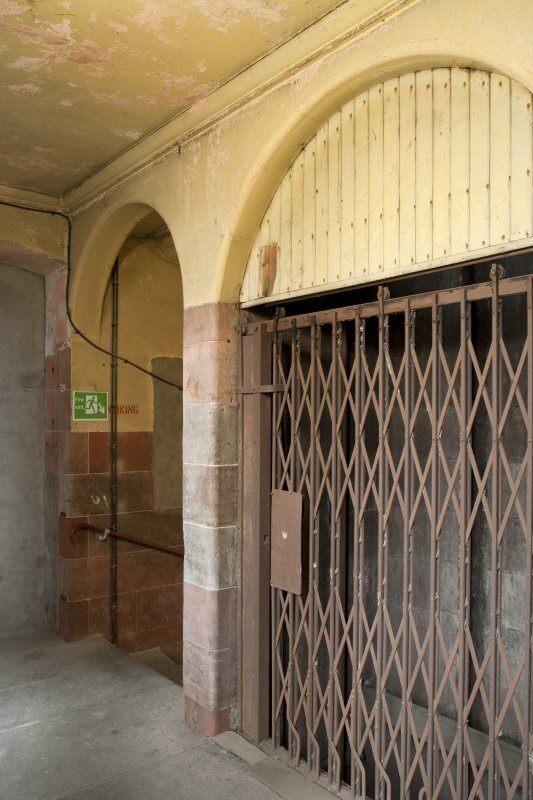 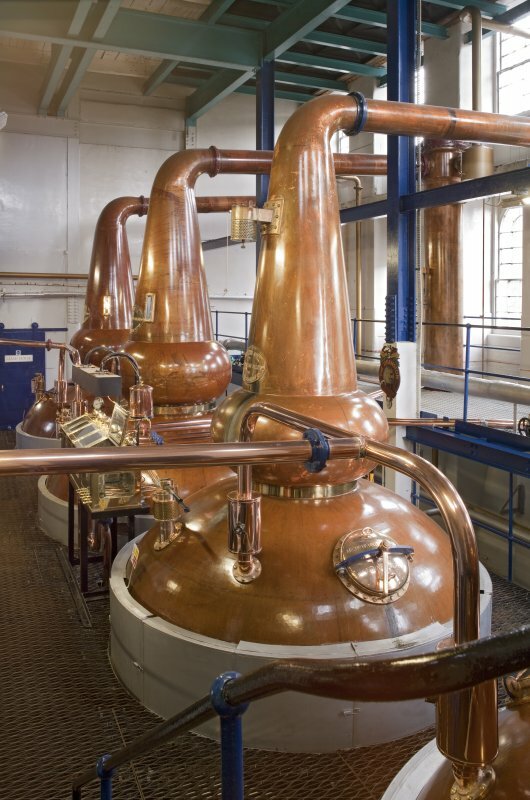 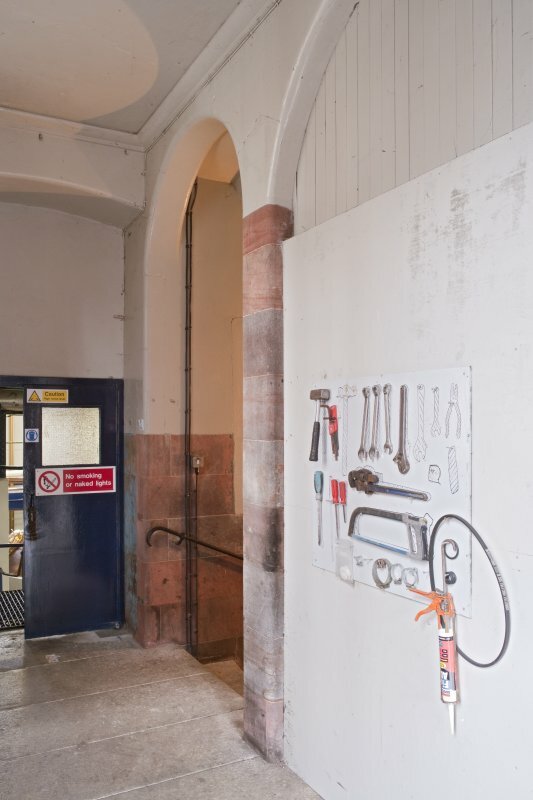 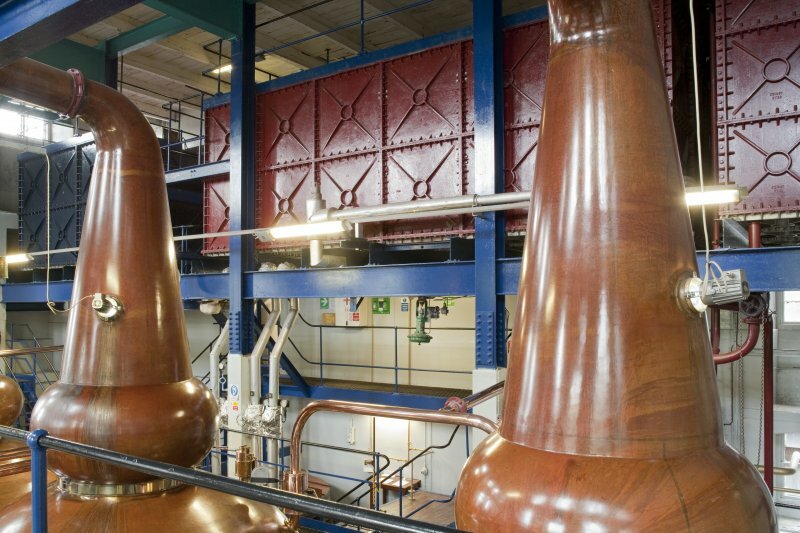 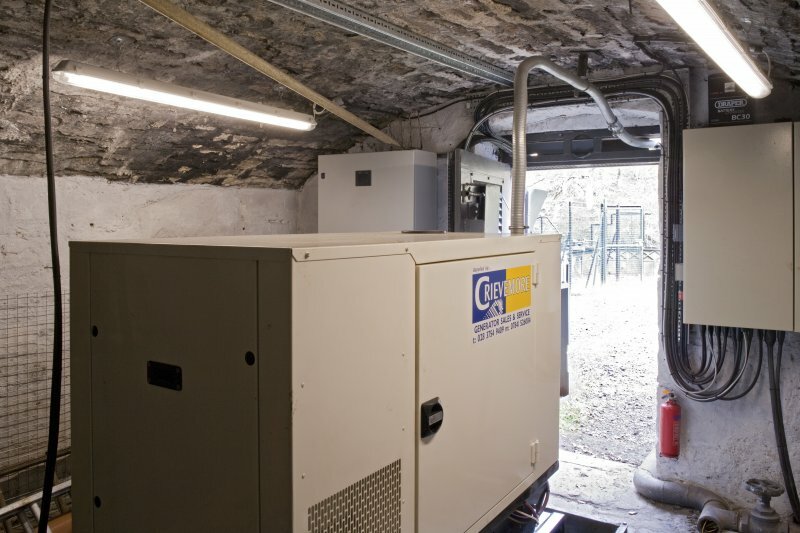 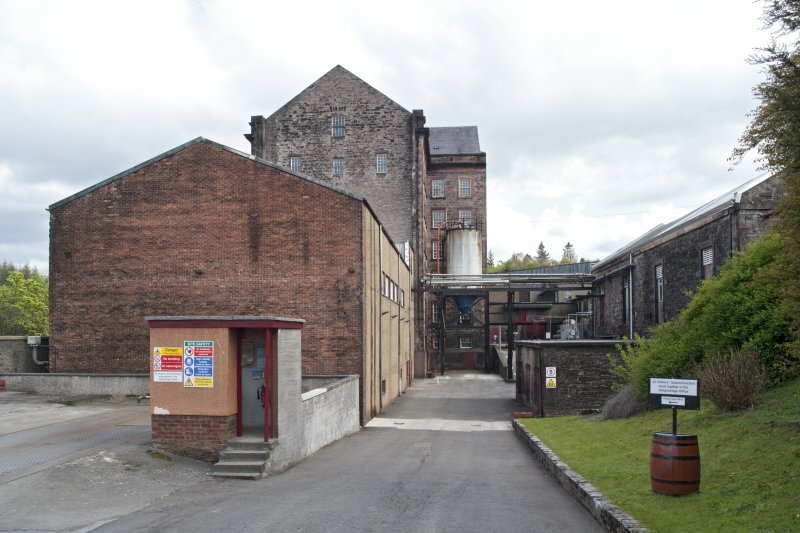 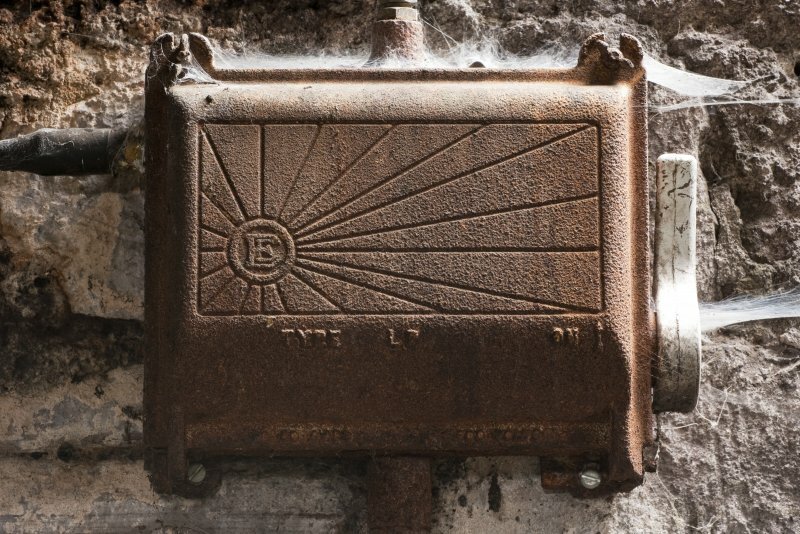 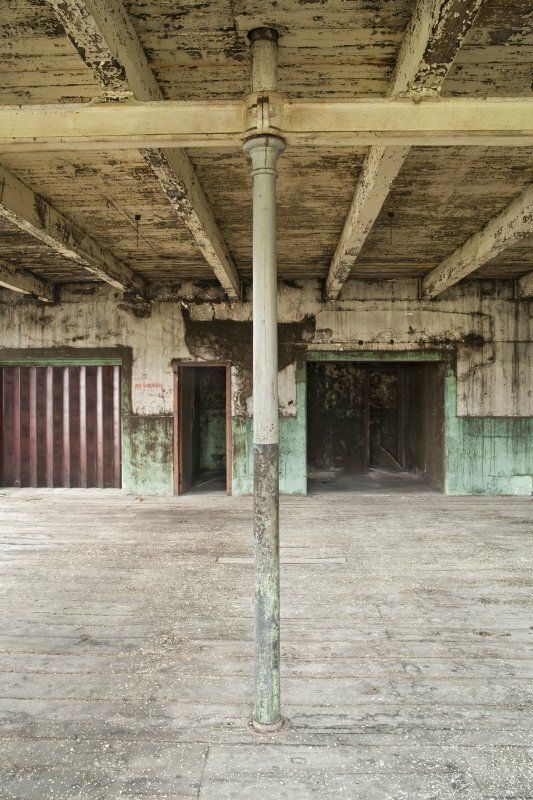 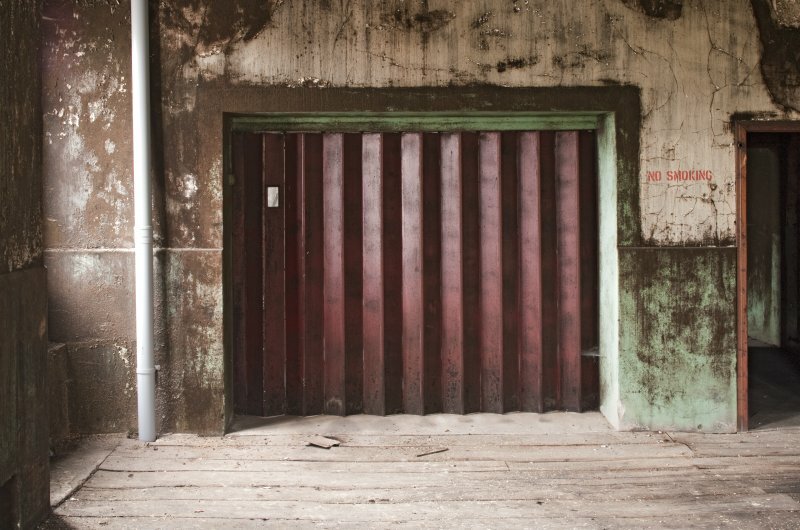 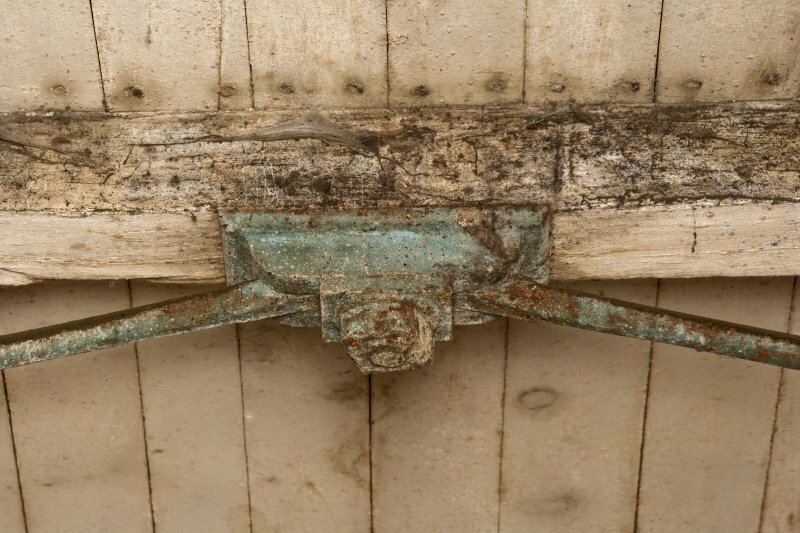 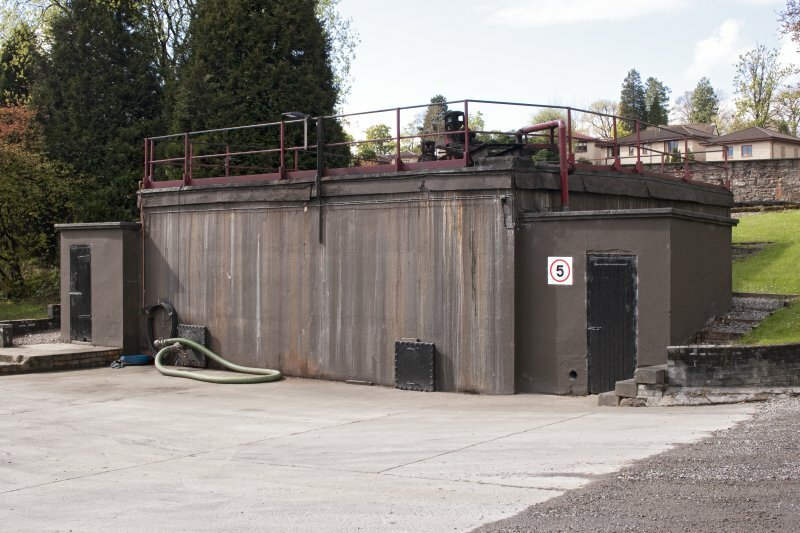 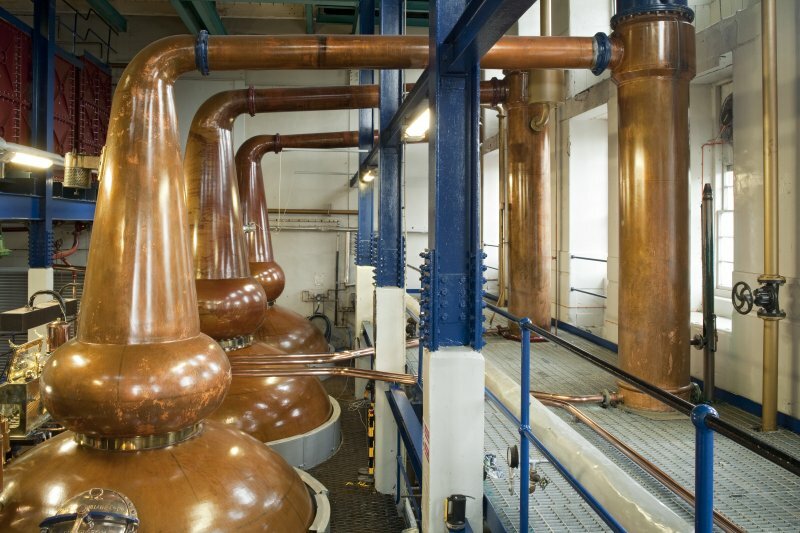 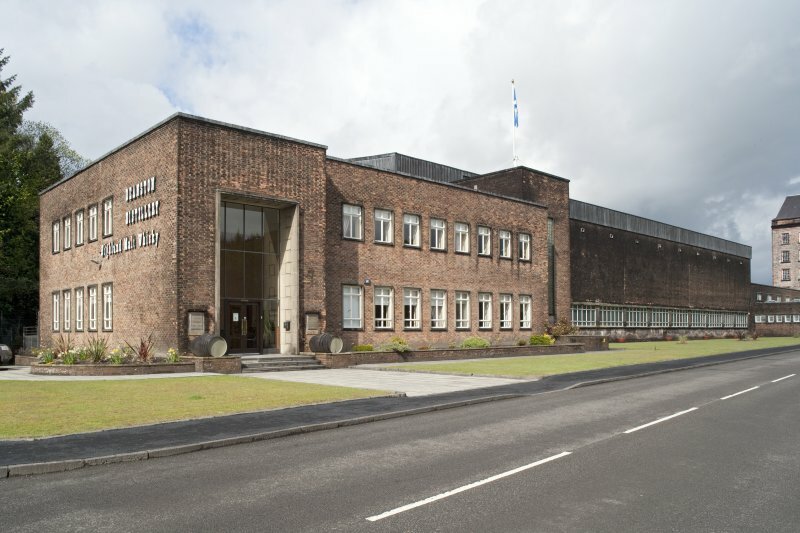 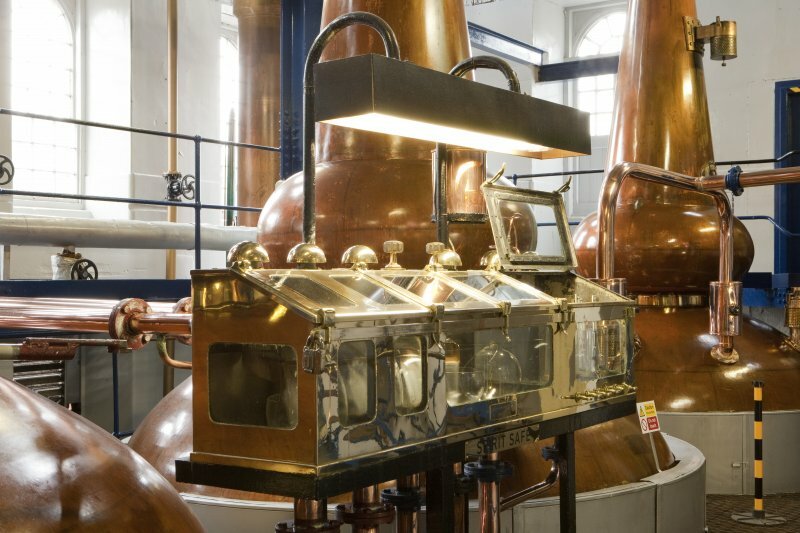 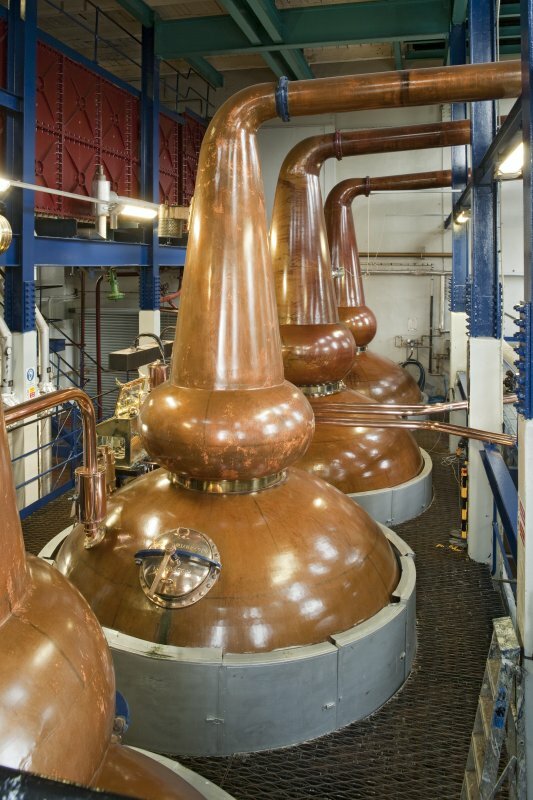 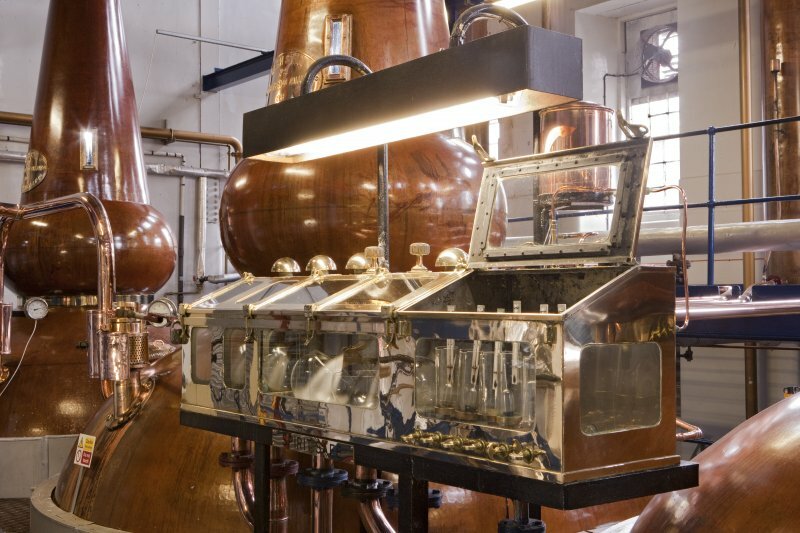 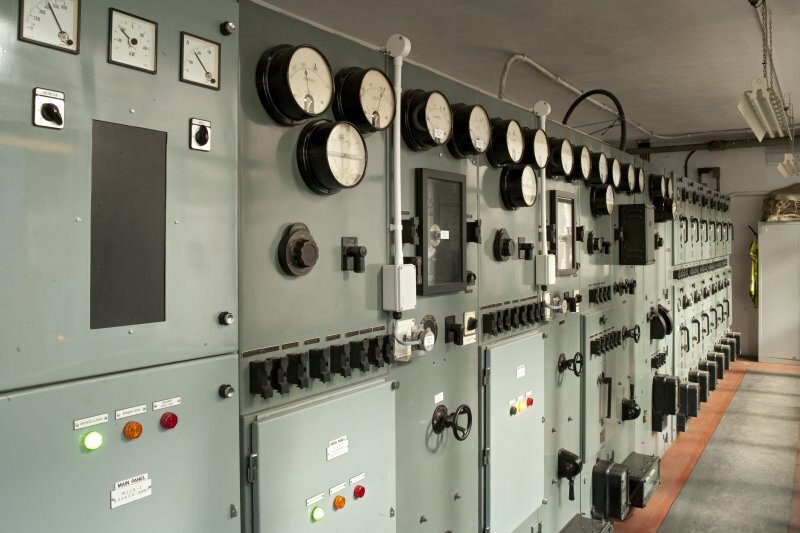 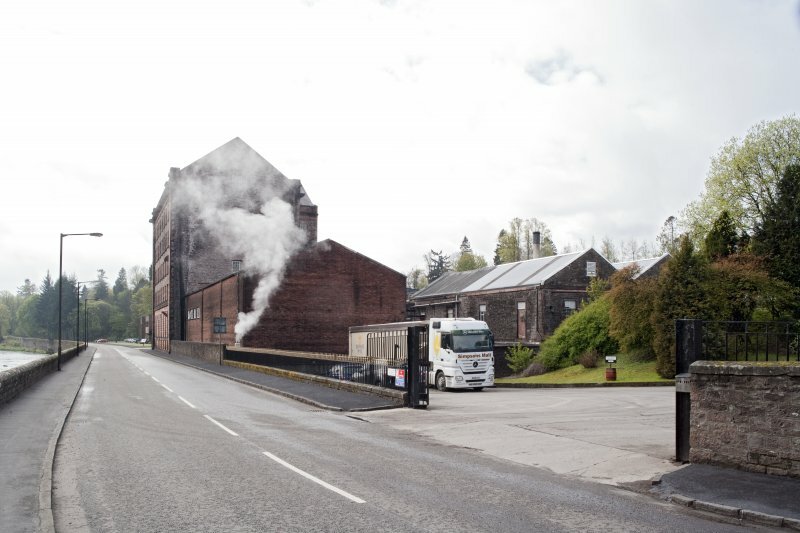 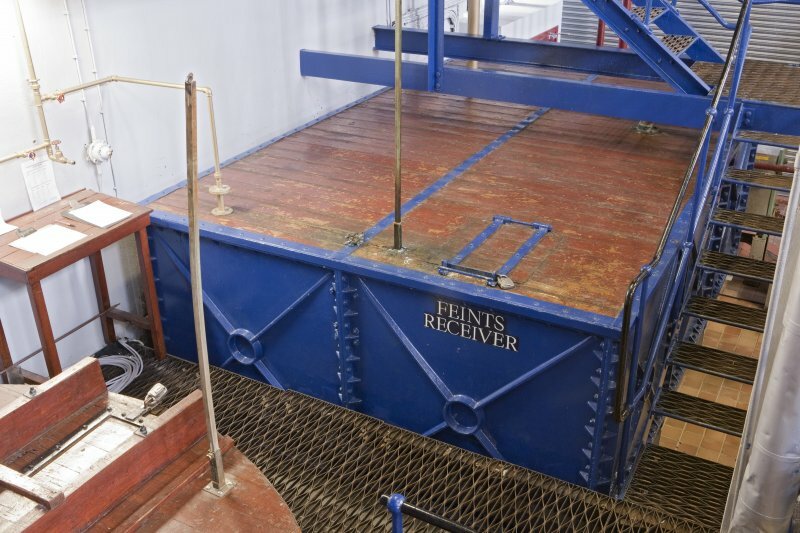 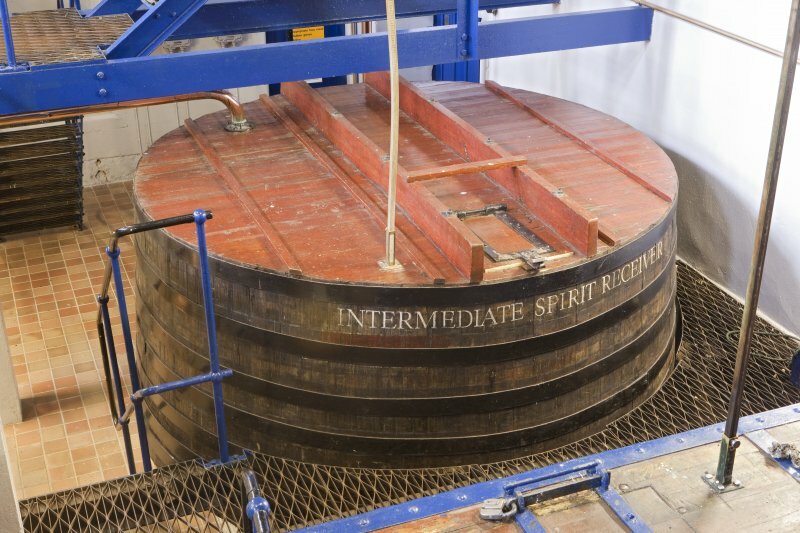 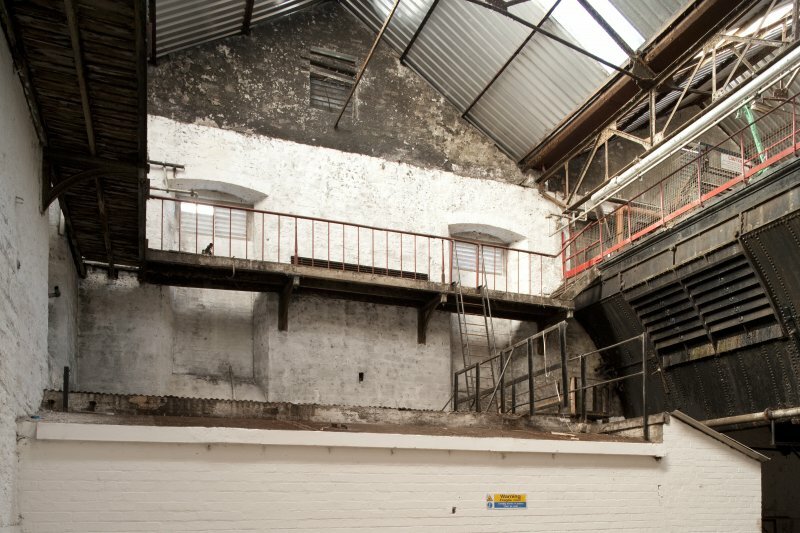 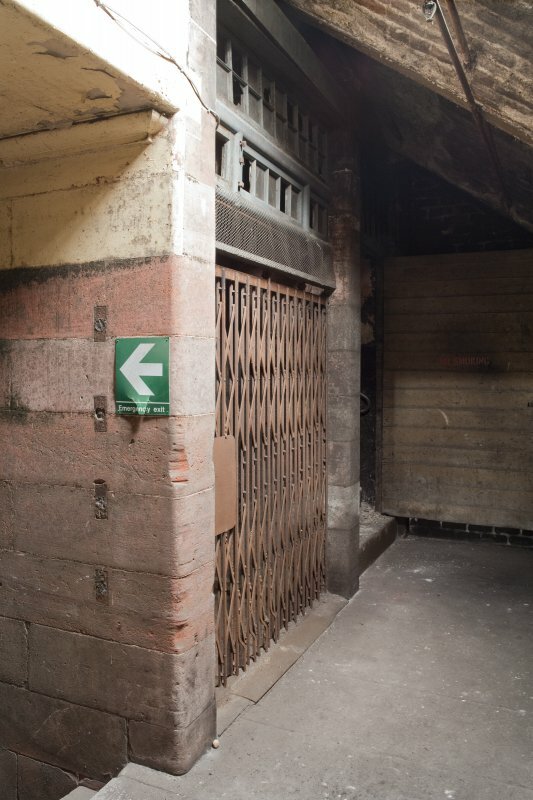 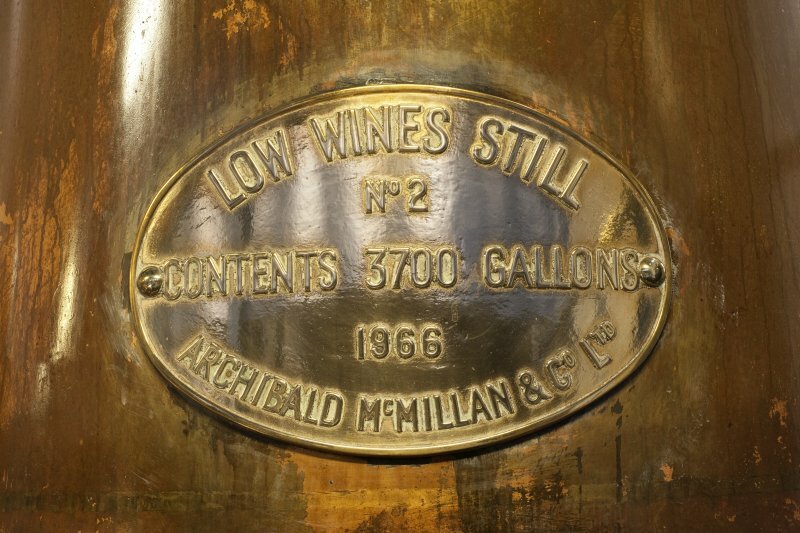 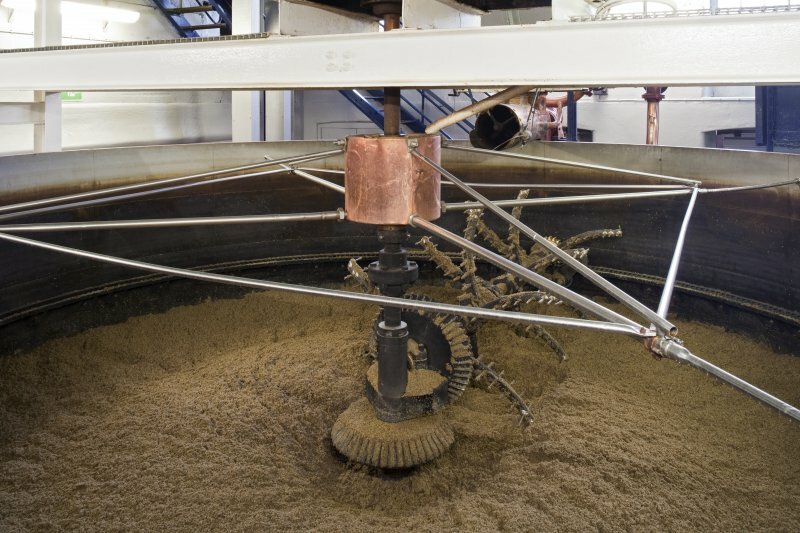 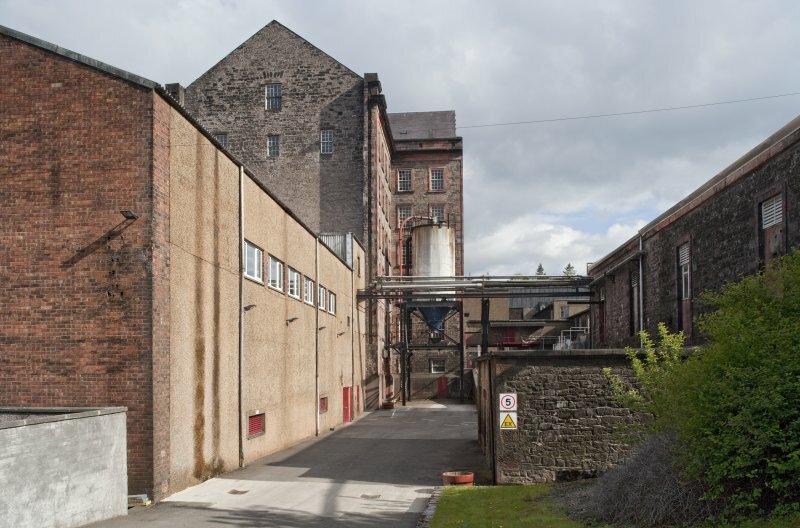 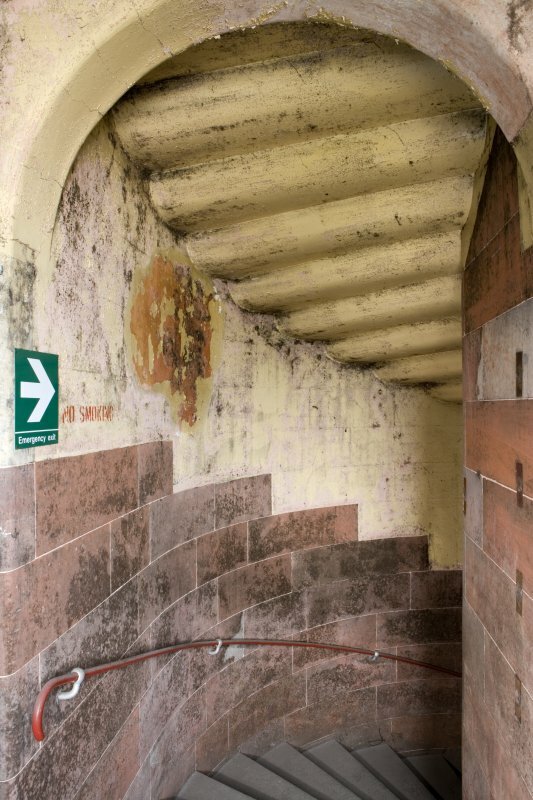 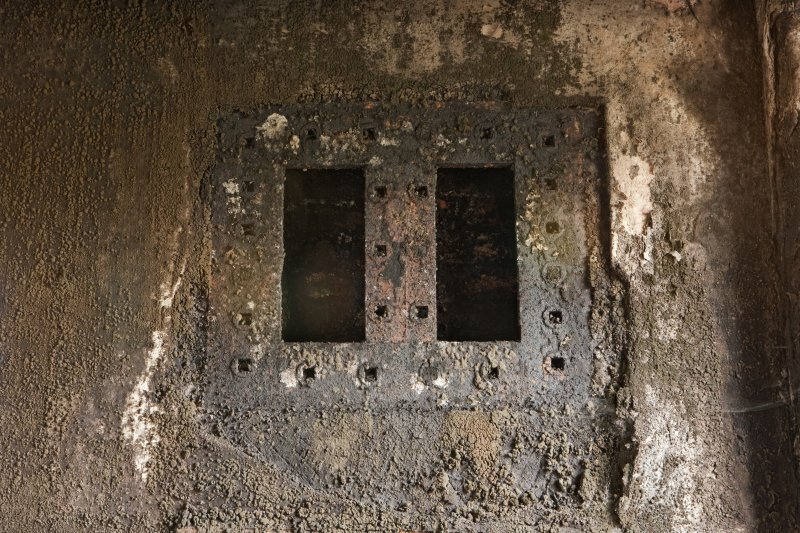 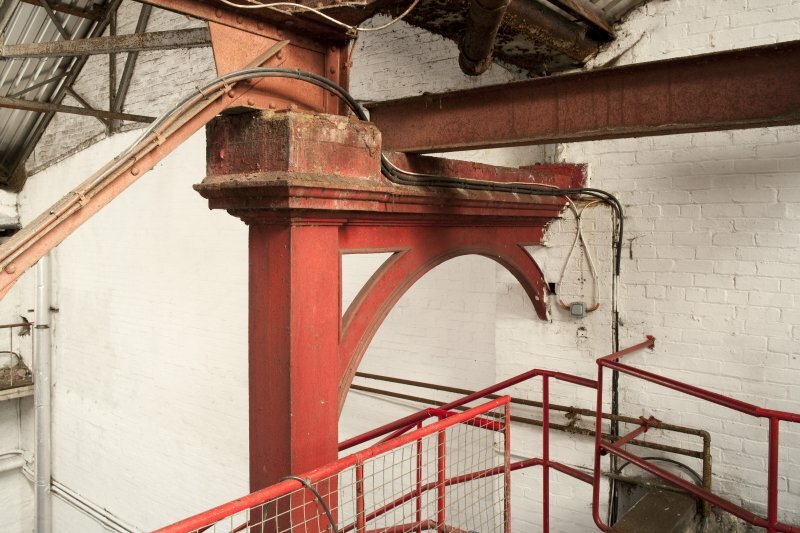 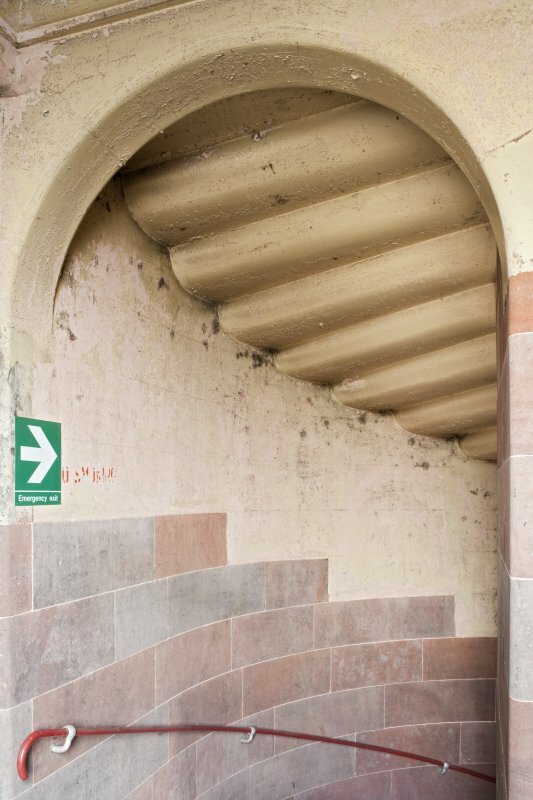 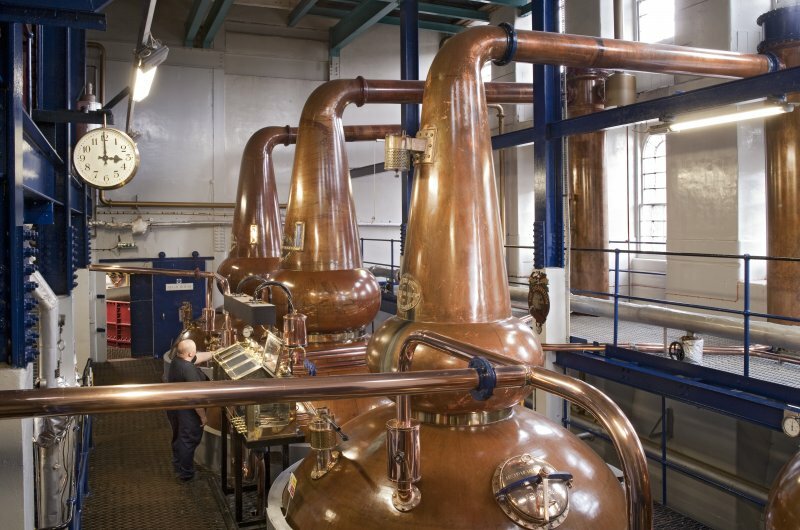 The distillery actively uses its industrial heritage and archives as part of its branding. 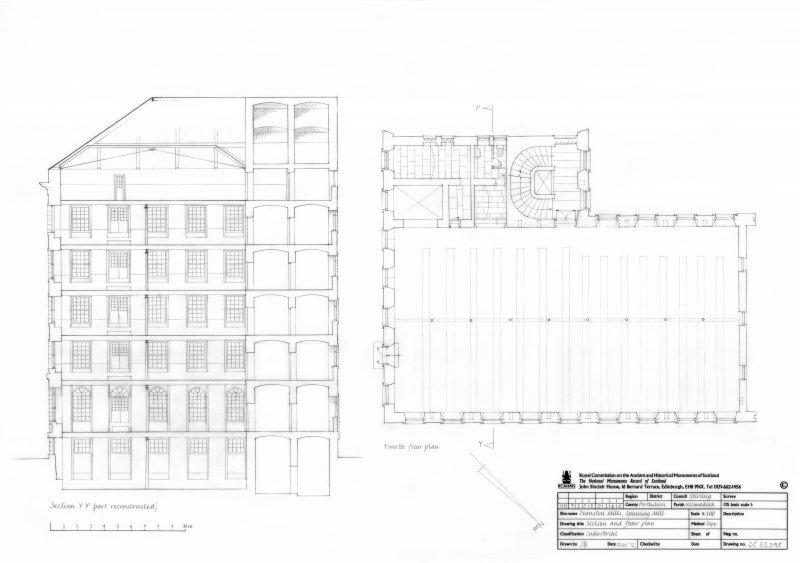 Information from Survey and Recording Section (Architecture and Industry), Heritage Directorate, HES, 19 February 2018. 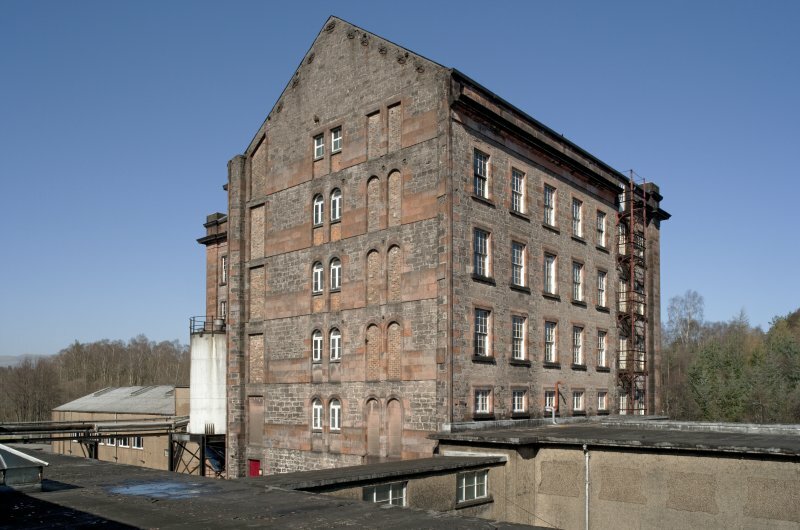 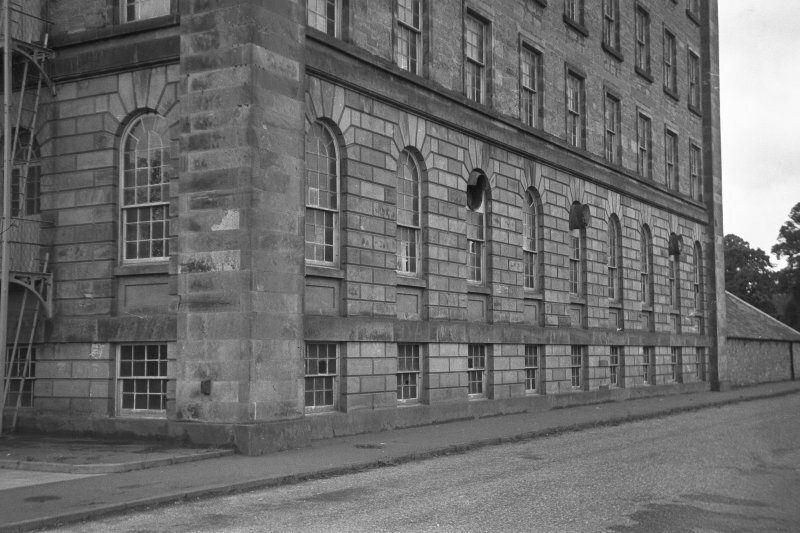 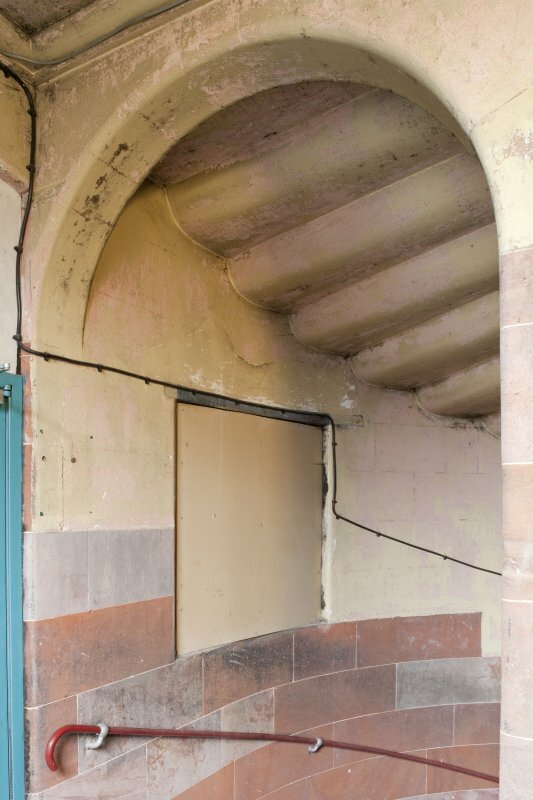 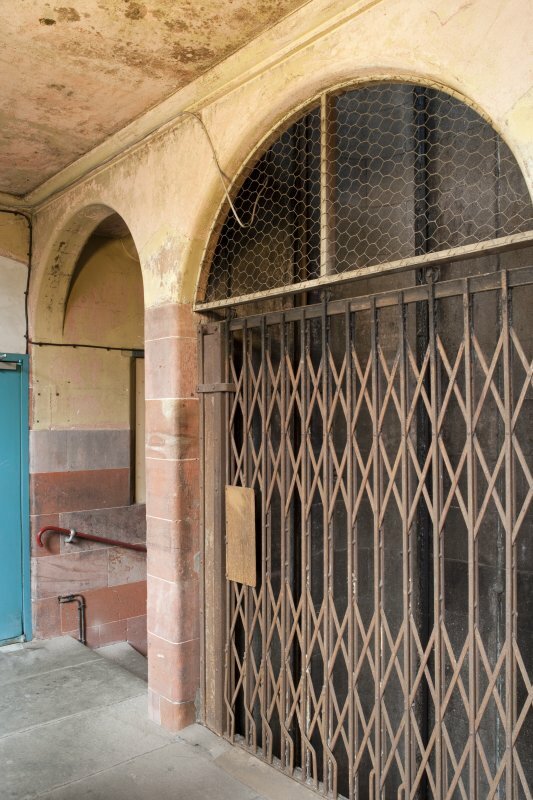 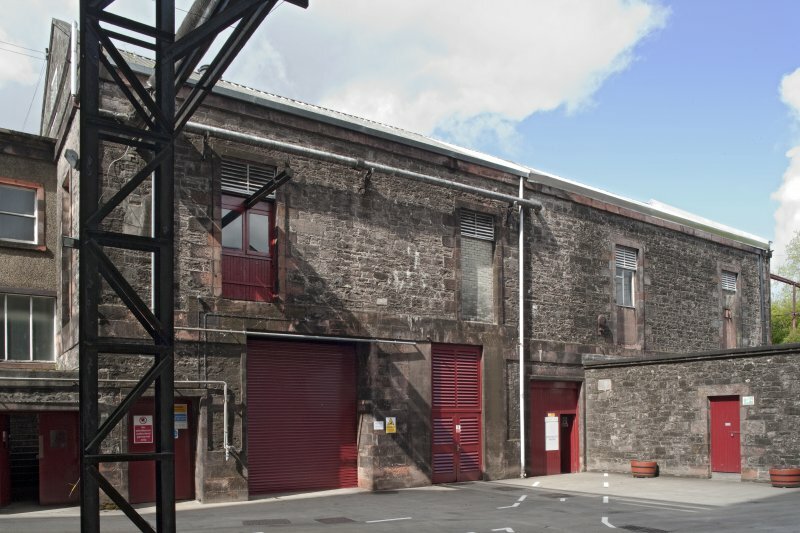 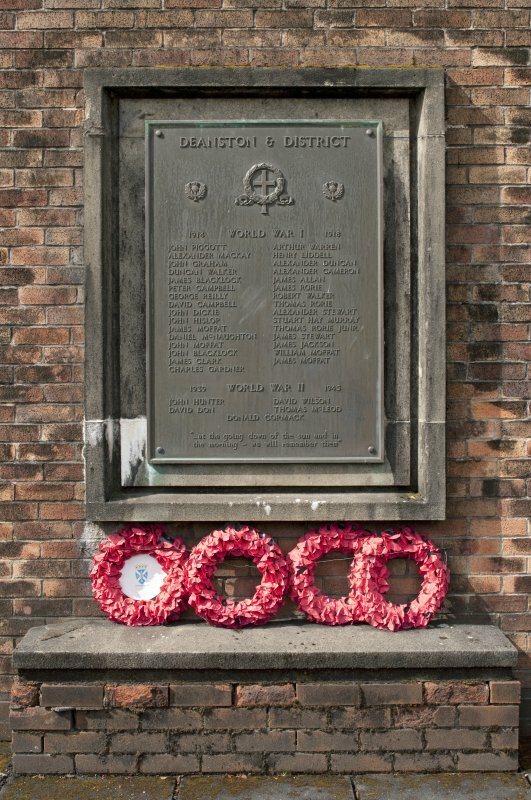 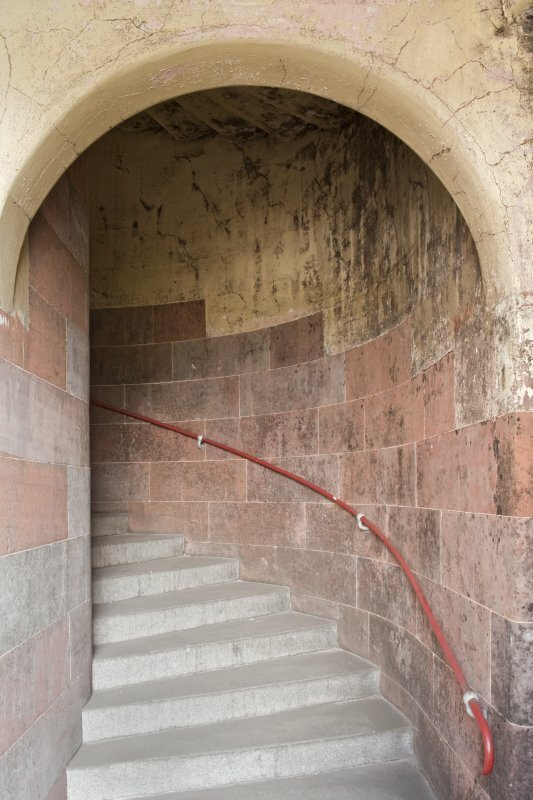 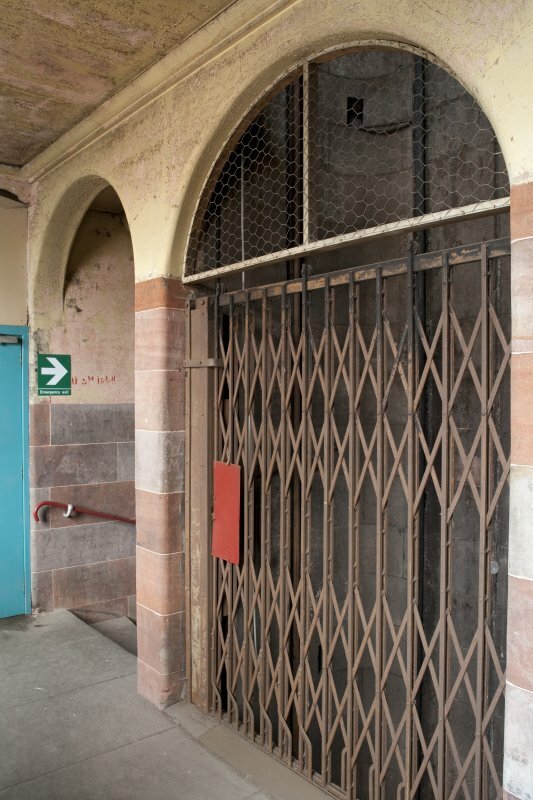 1806 – Deanston bought by James Findlay and Co.